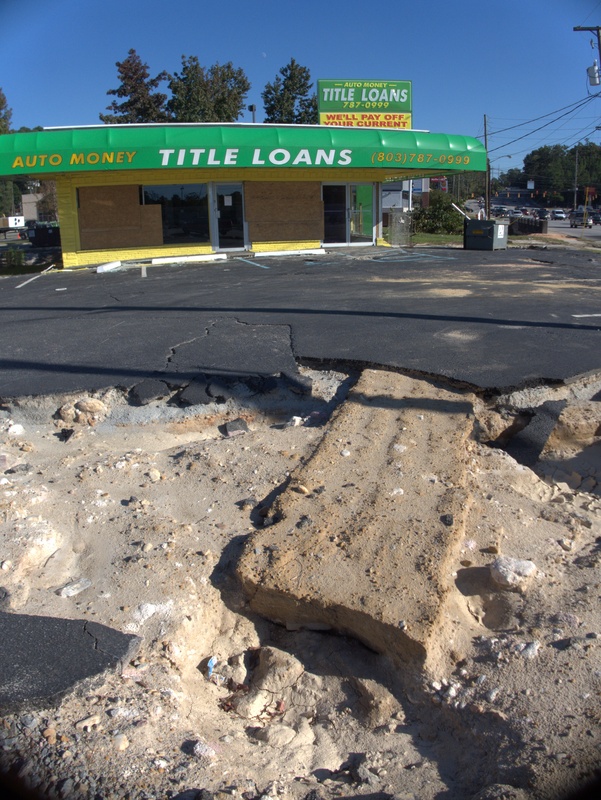 Many of these pictures were originally part of my Great Flood of 2015 entry Devine / Crowson / Fort Jackson Boulevard. 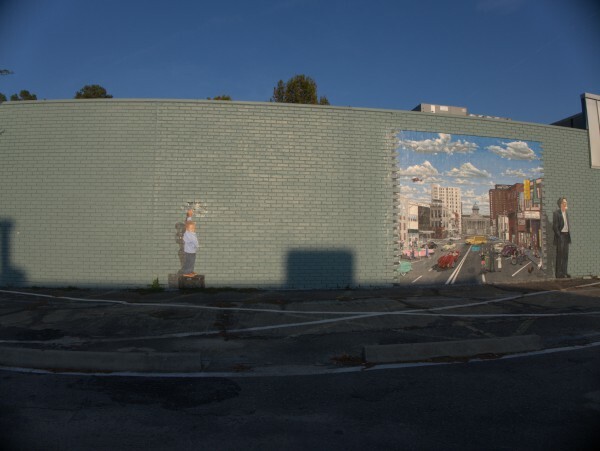 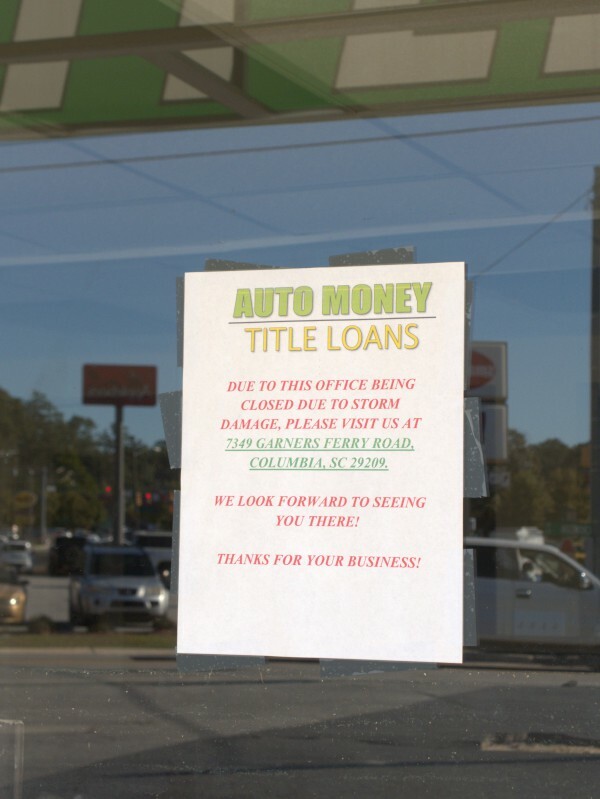 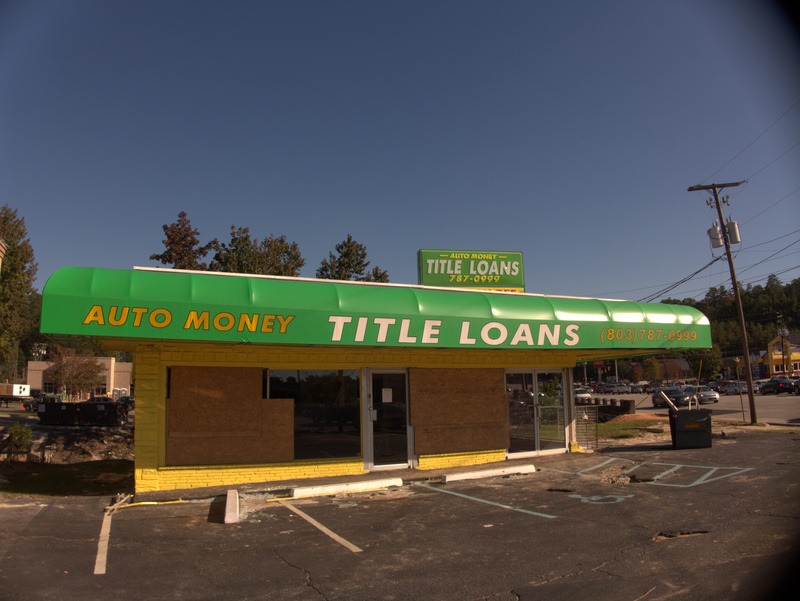 I have decided to break the Auto Money Title Loans building (and later the Subway) out as separate posts to make them easier to find in the future as these two building, along, and even moreso, with the TitleMax building have become somewhat iconic images of the flood. The old posts will remain, and some photos are duplicated. Anyway, both of these buildings sat on the bank of Gills Creek and in the 1000 Year Flood were filled with water up to the roofs. 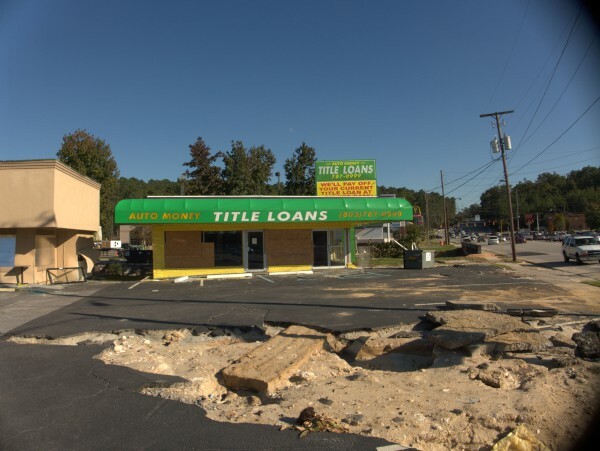 In addition the creek bank under the backs of the buildings was undermined to the point that with everything, the buildings were total losses. Here we see the buildings a couple of weeks after the flood, when I got back to town from the beach and the roads were open enough for me to go picture taking. 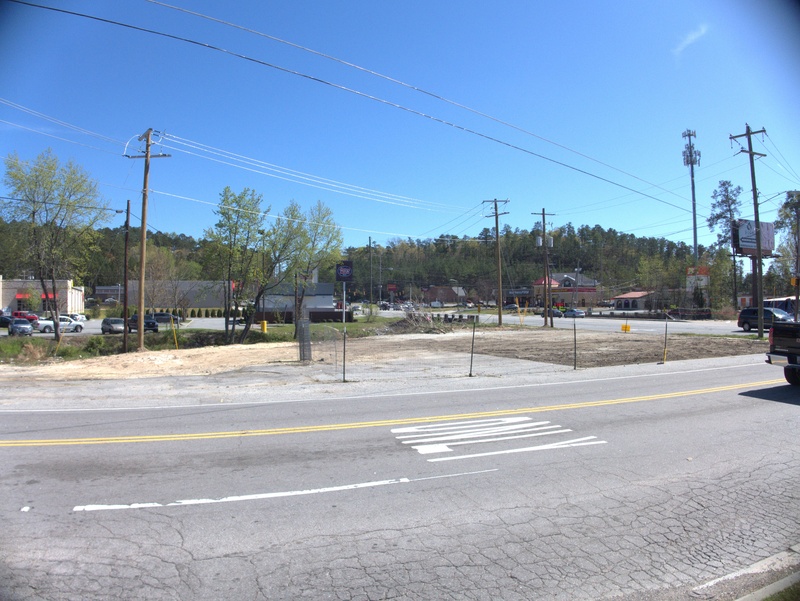 Here both buildings have been fenced off, but have not yet been torn down as the FEMA process was still ongoing. 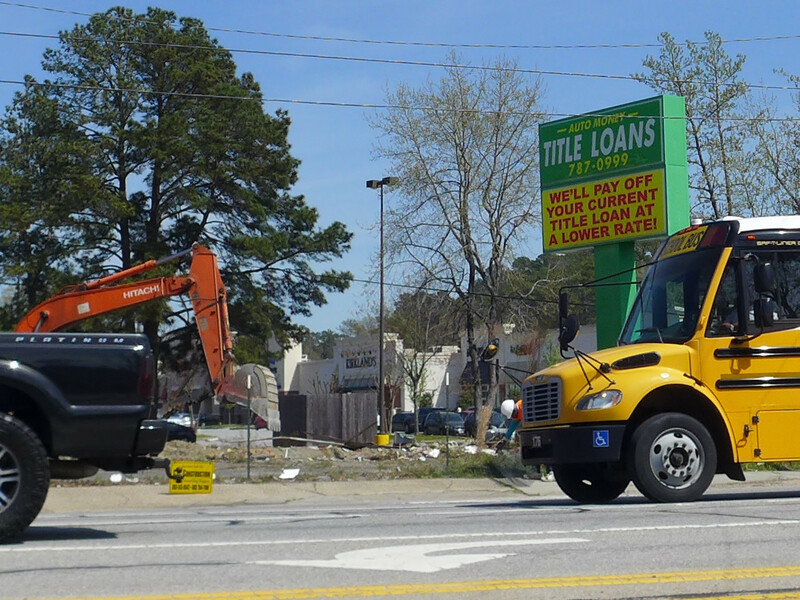 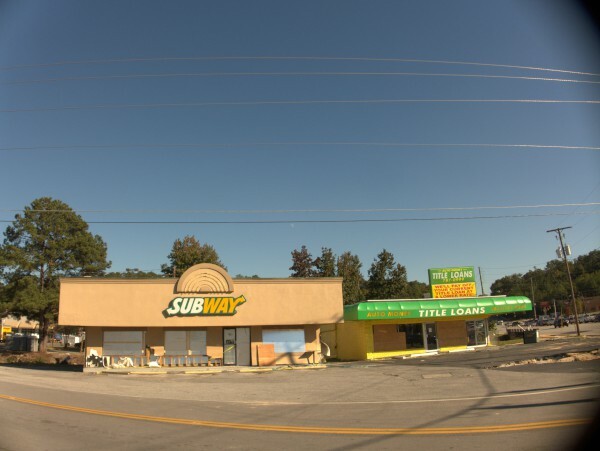 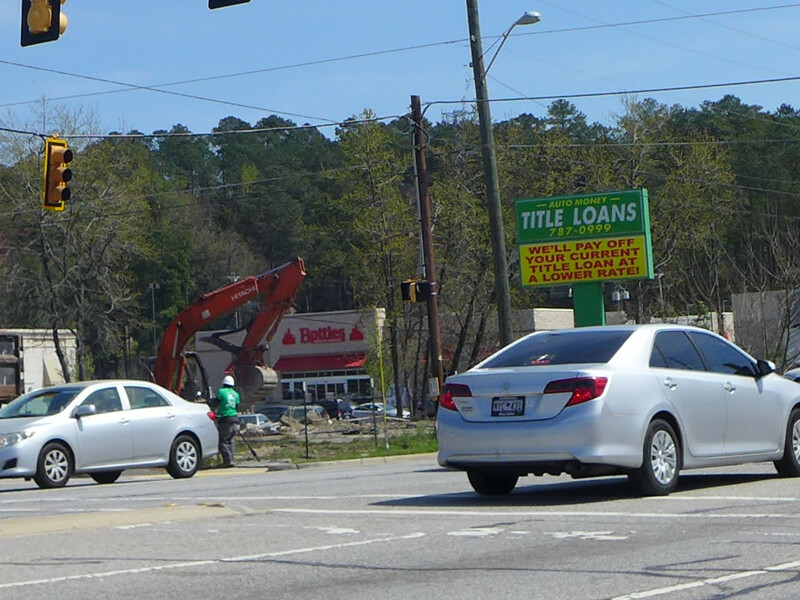 Here the Subway has been taken down, and the Title Loans building is next up. Here are some driveby photos of the Title Loans building coming down. "After extensive information gathering and a lengthy application process to FEMA, the city received Hazard Mitigation Grant Program assistance from FEMA to purchase afflicted homes and the former Title Loan property," a police department release said. 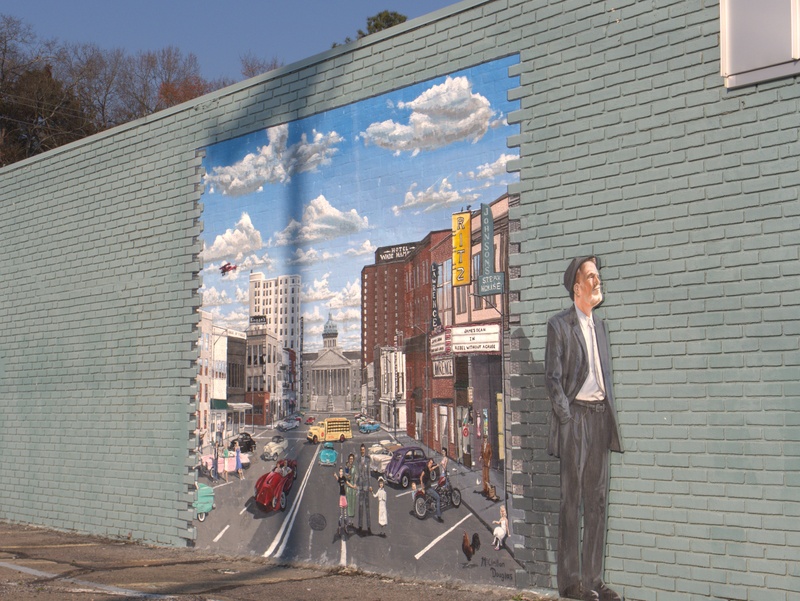 "In purchasing the properties with federal grant funds, the city is required to demolish the structures in accordance with FEMA’s conditions, and return the land to green space in perpetuity." 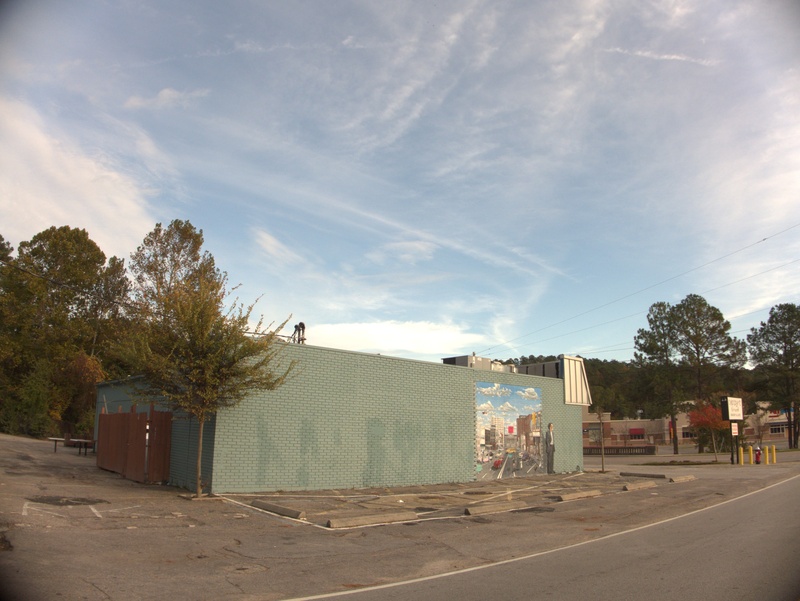 That link also has a good picture of the pre-demolition state of the back side of both buildings. 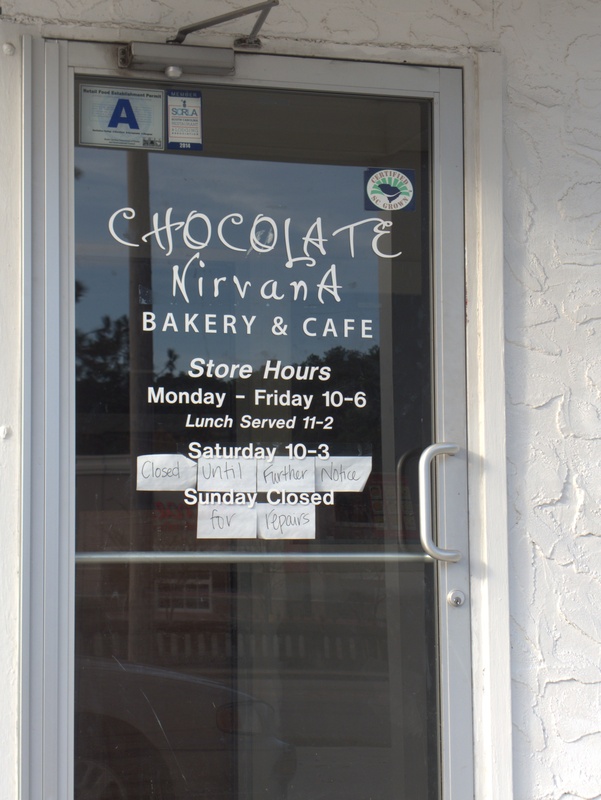 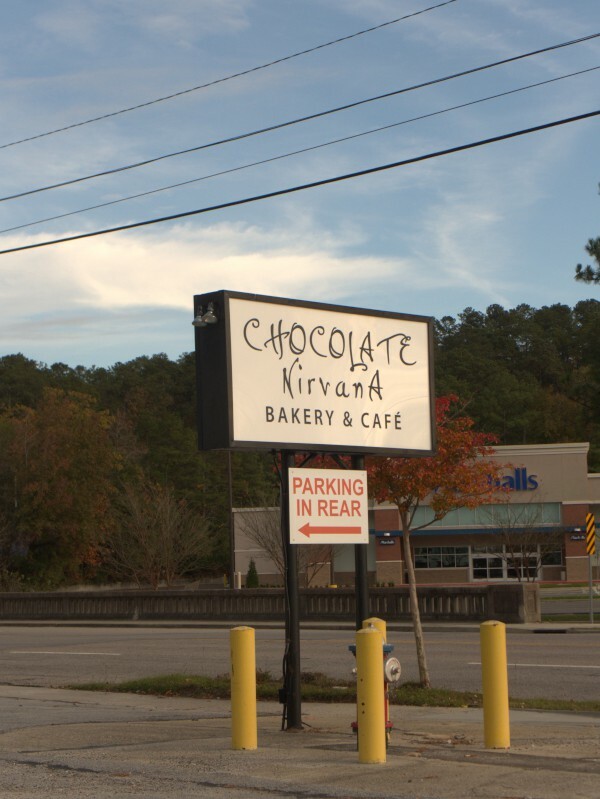 Chocolate Nirvana had the misfortune to choose the exact wrong time to move from their old Richland Street location to Fort Jackson Boulevard beside Gills Creek. 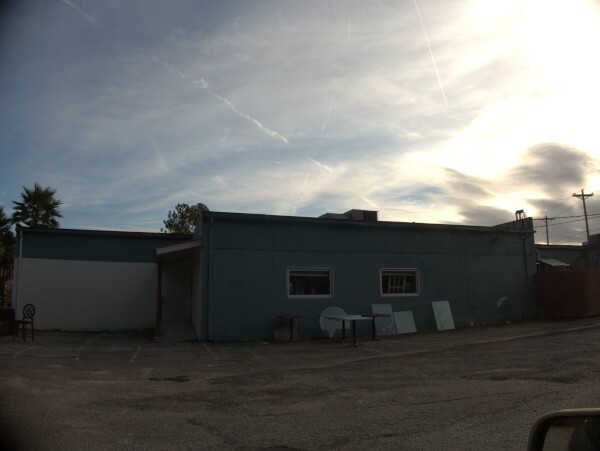 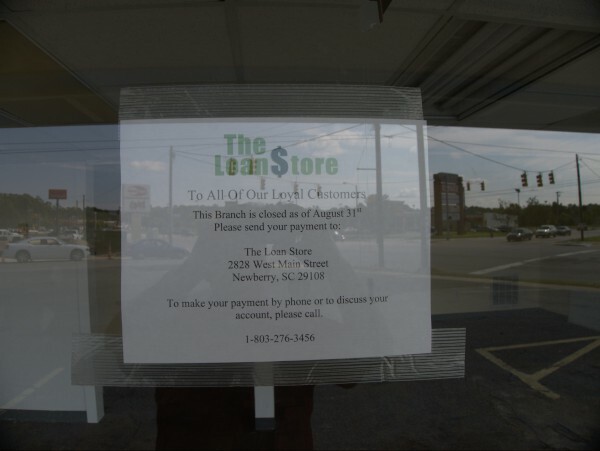 In the event, they were devastated by the Great Flood Of 2015, and it now appears that they have given up on the building, which is currently for lease. Their website leaves room to hope they may be back in another location, but I suspect the flood marks the end of this much repurposed building and would not be surprised to see it knocked down, though I'm not sure anything else could now be built on the lot. I took a few minutes to walk Crowson Road between Devine and Fort Jackson Boulevard today. 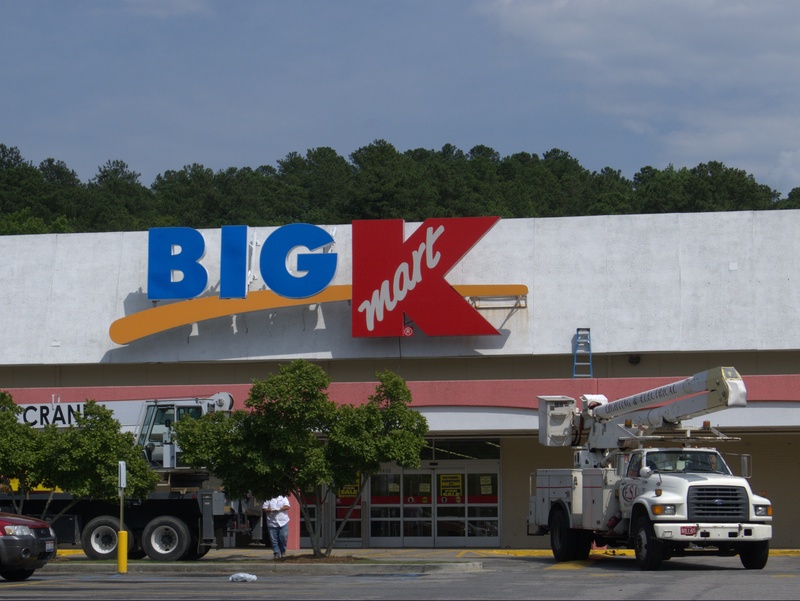 I did not attempt to go onto the old Kmart which was rather cordoned off, but work is definitely underway back there. 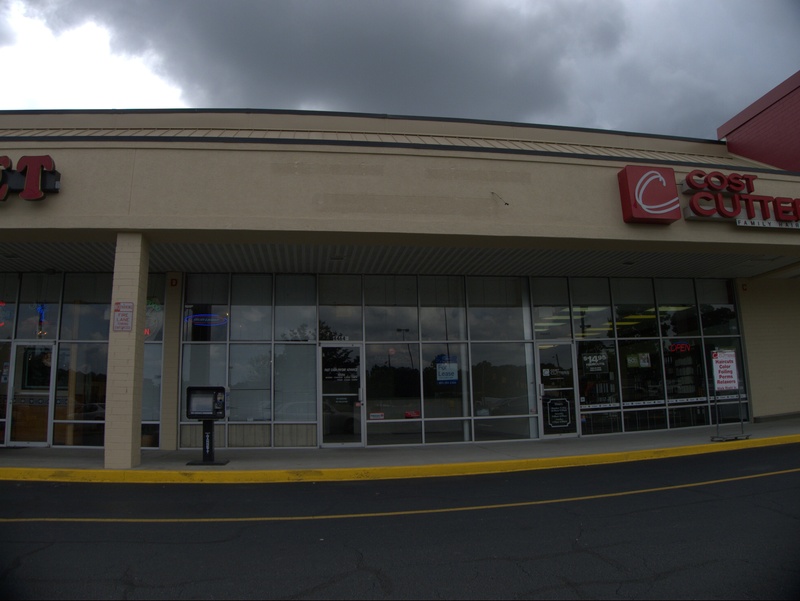 I heard from a waitress at Ruby Tuesday that the pet store unfortunately lost some animals during the flood. 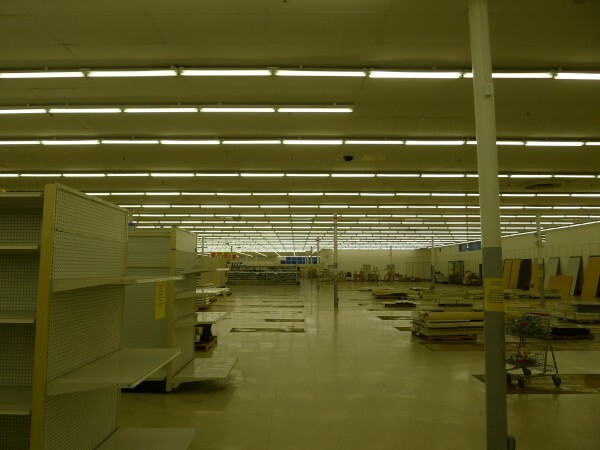 Currently none of those stores are open. 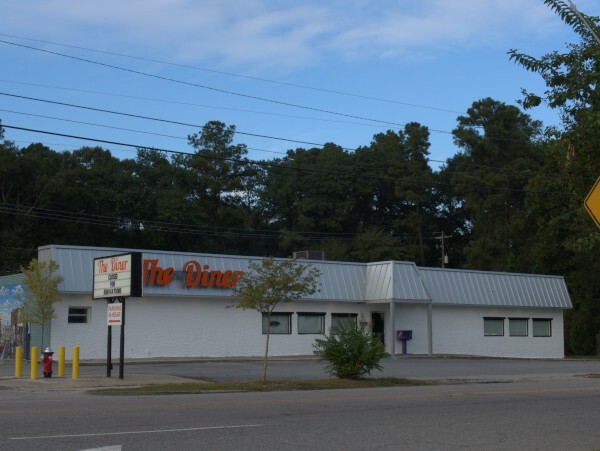 As reported by commenter Mike, The Diner on Fort Jackson Boulevard just behind the new Whole Foods is closed for "renovations". 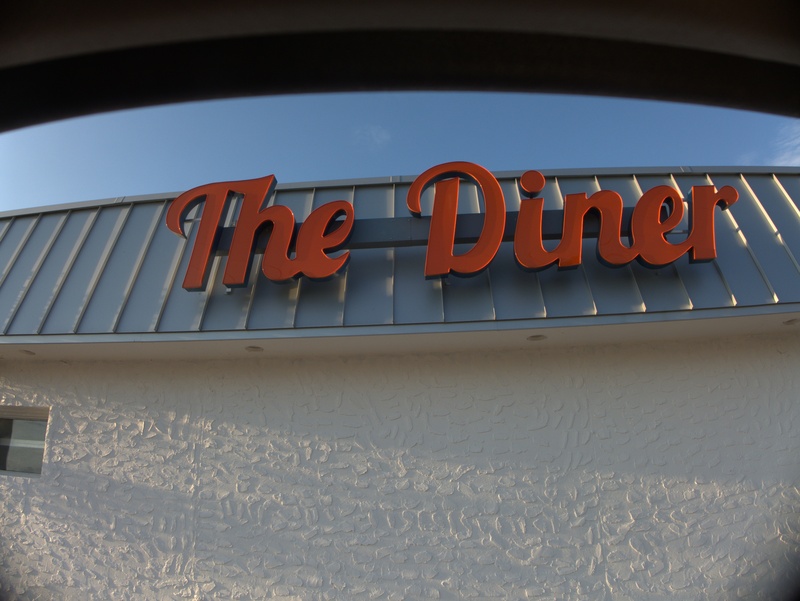 I believe this place has been open for a bit over a year and a half, launching in January 2012 in the old Jesudi's etc location. 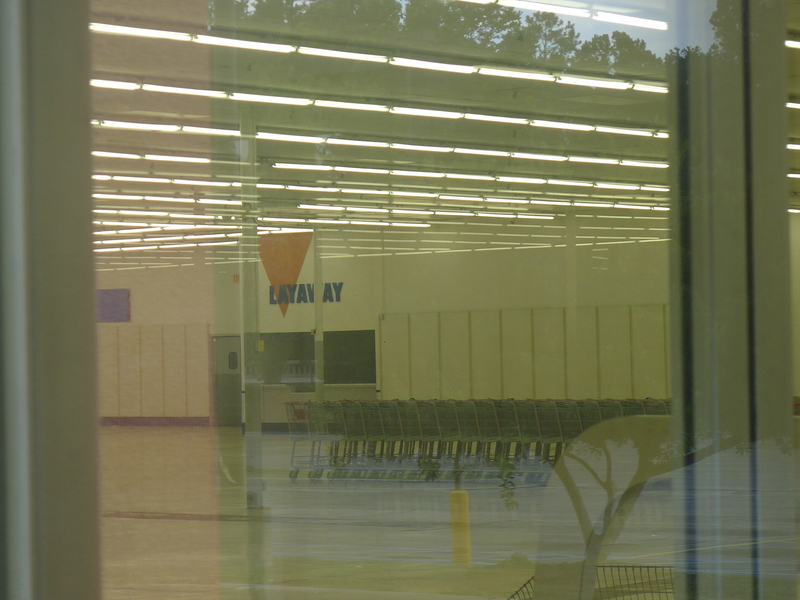 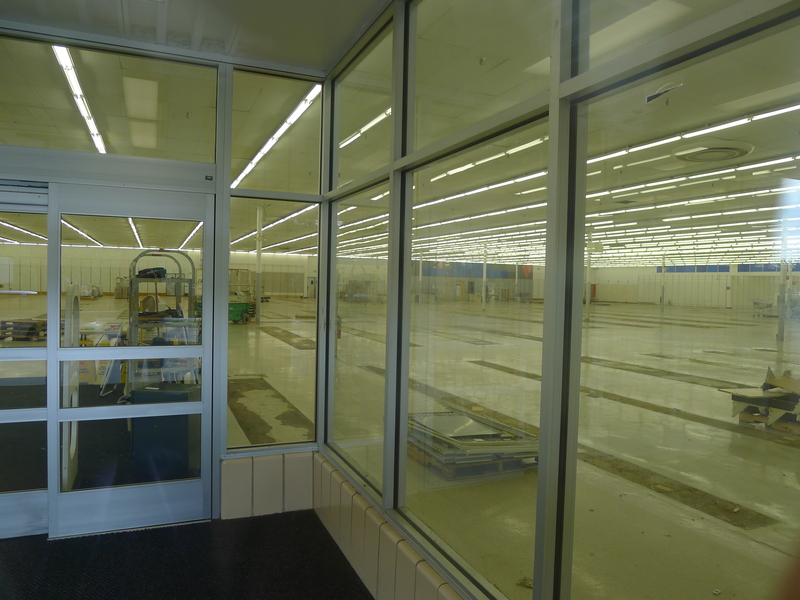 Given that they did extensive renovations on the place before opening, it's hard to imagine what needs upgrading now. While I certainly hope it is not the case here, it seems to me that more than half the times a restaurant closes for "renovations", that turns out to be more of a hope than a plan, and the closure becomes permanent. 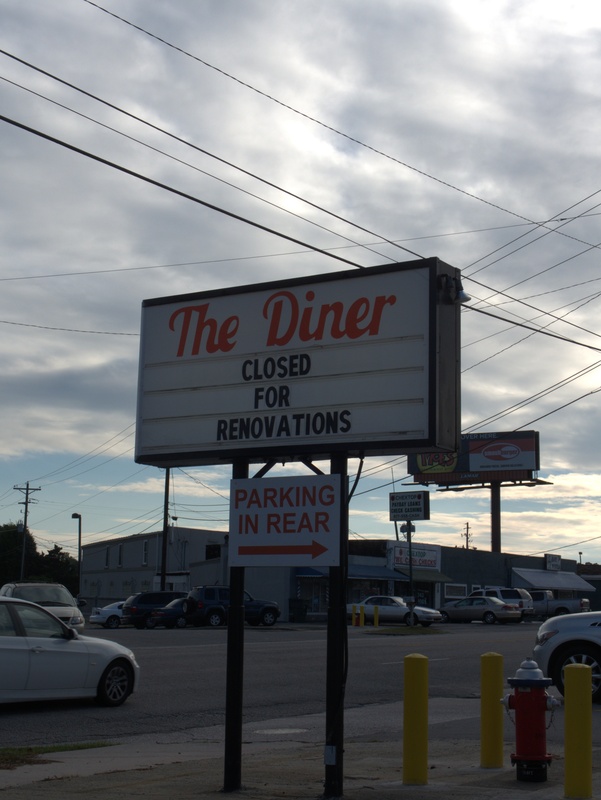 I've taken the "remodeling" tag off the subject line. 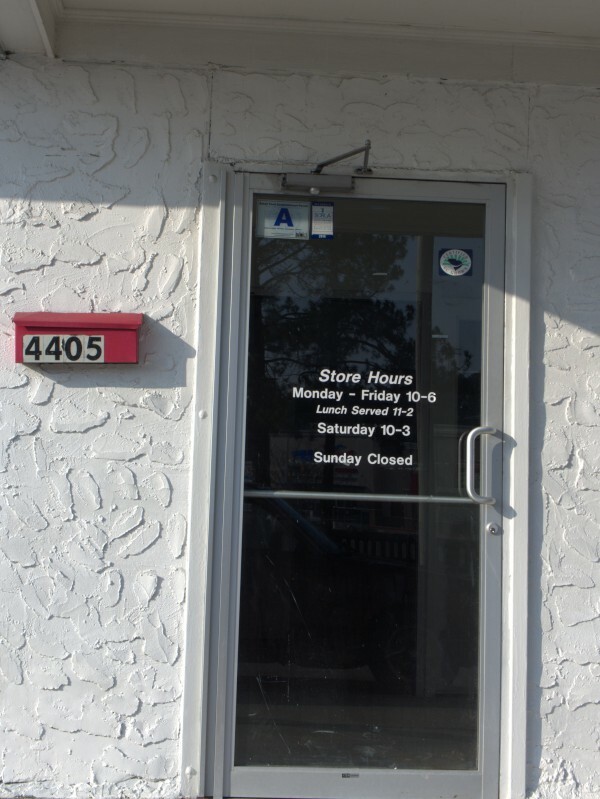 I'm sure that Express Check Advance was not the first business in this little store next to Subway at the corner of Devine and Crowson Streets -- to me it has a bit of the look of a dry cleaner. 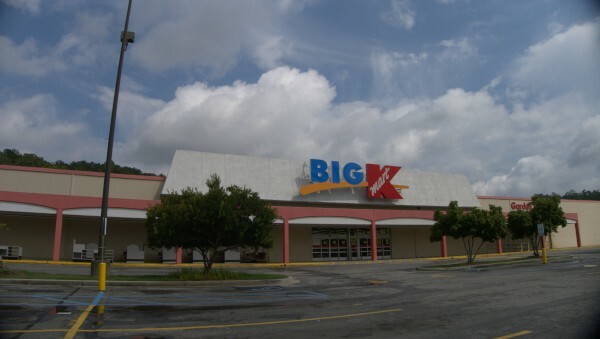 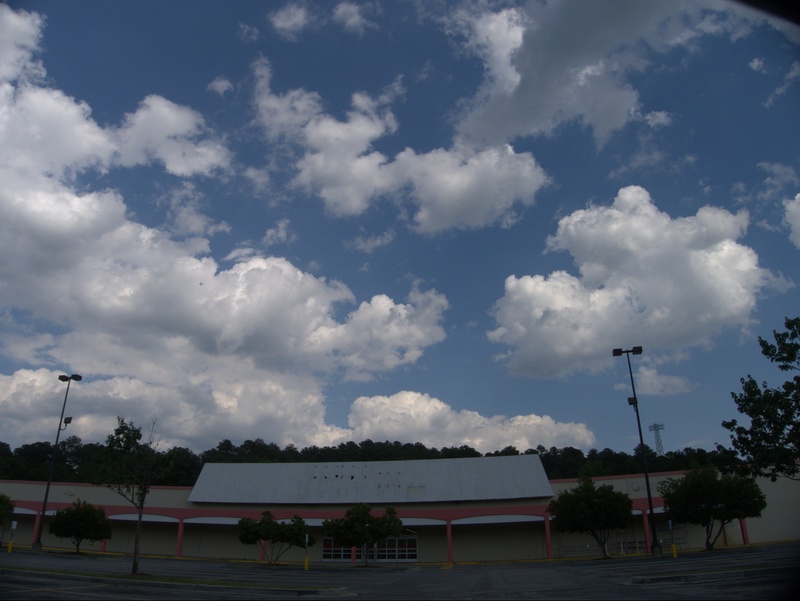 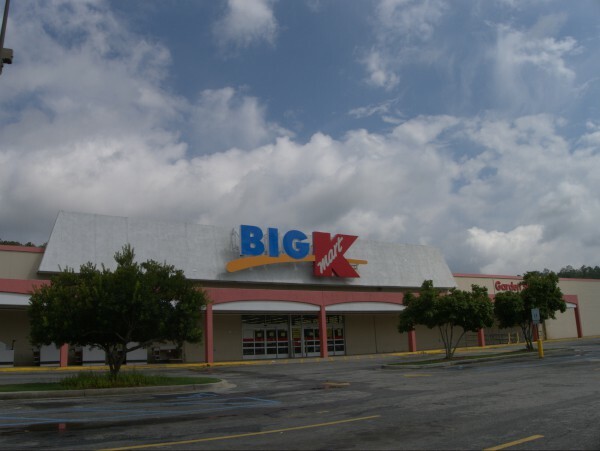 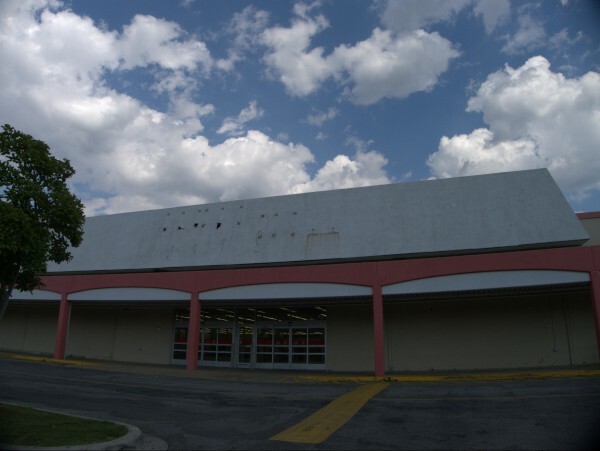 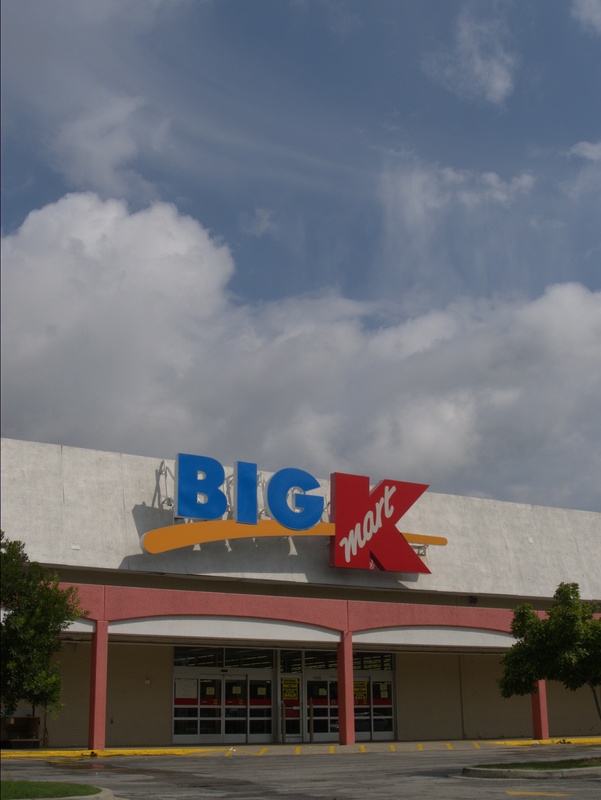 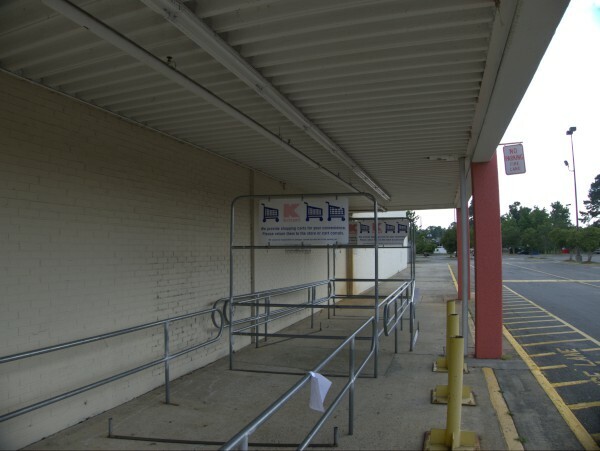 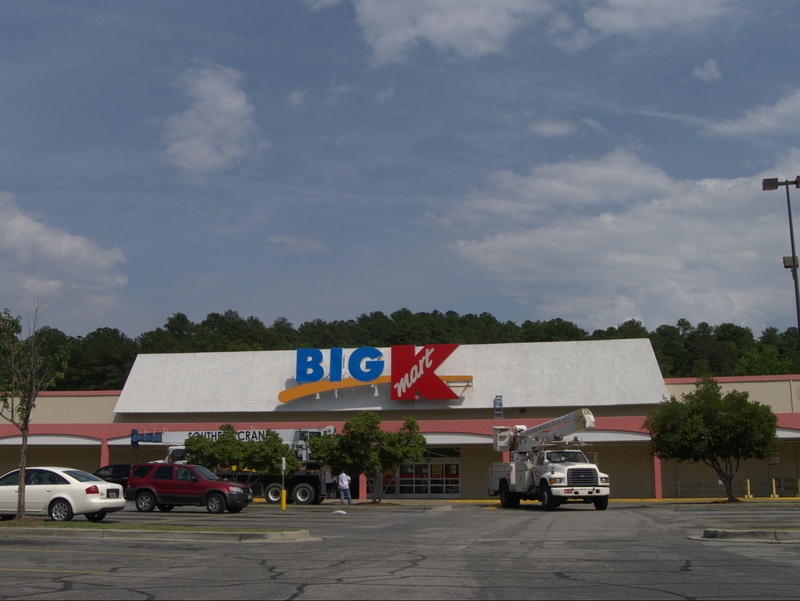 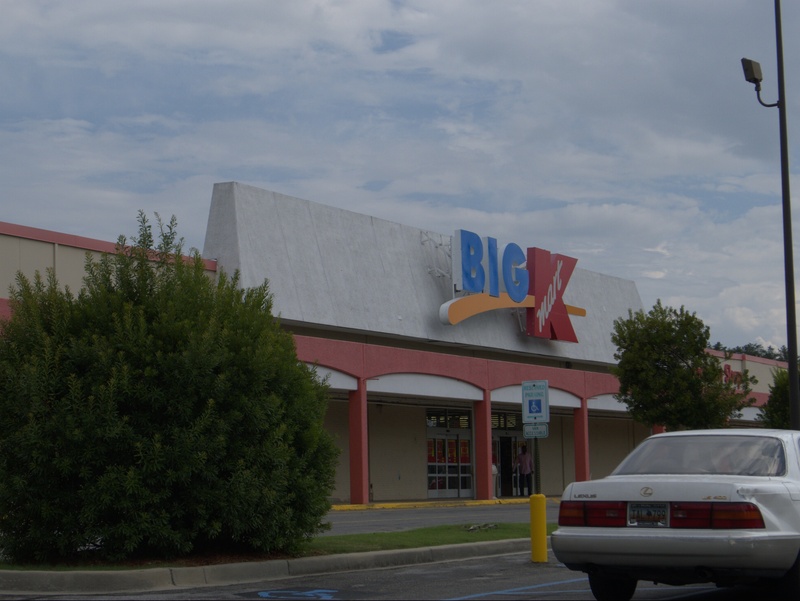 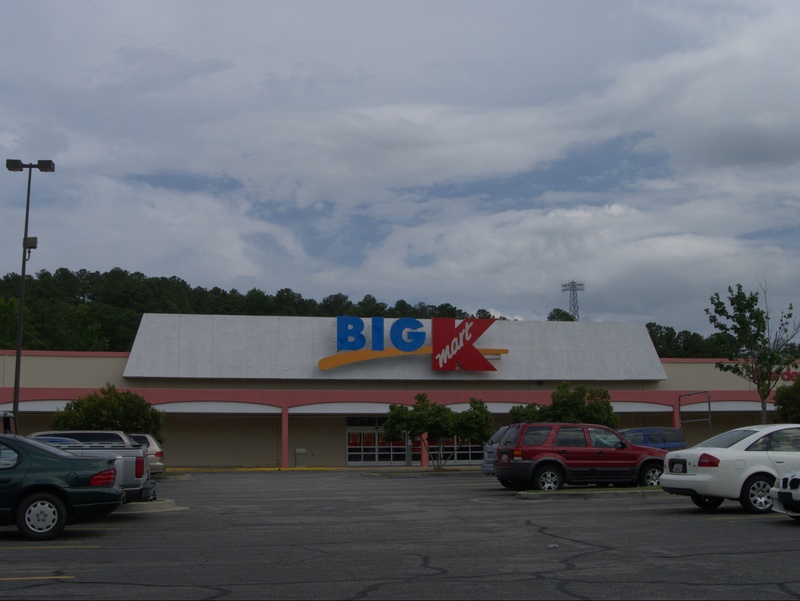 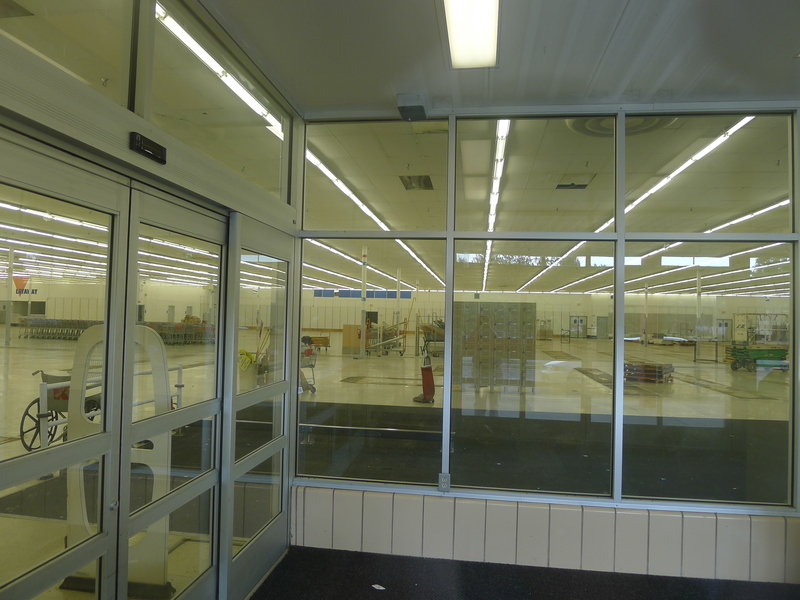 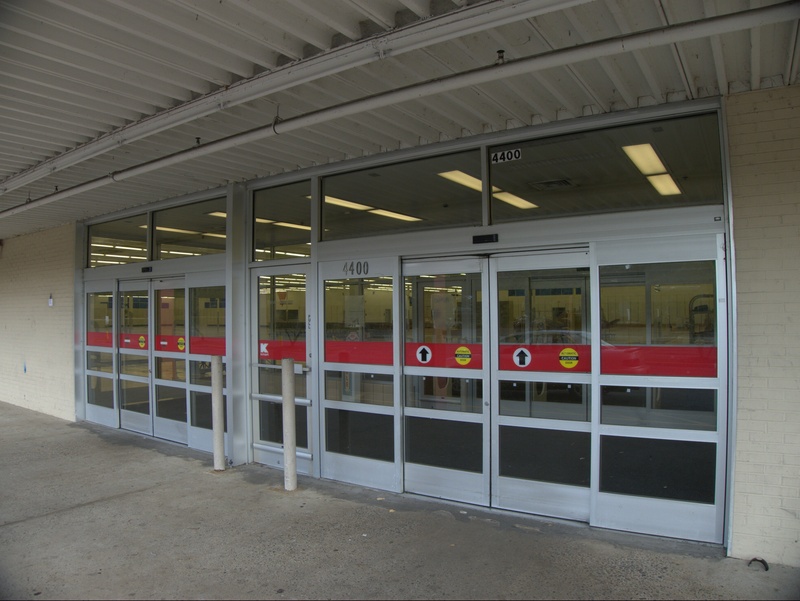 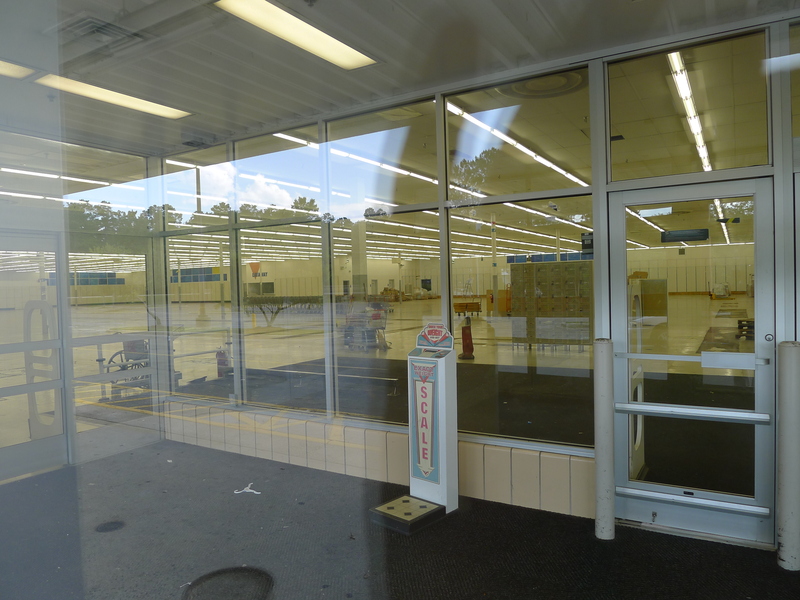 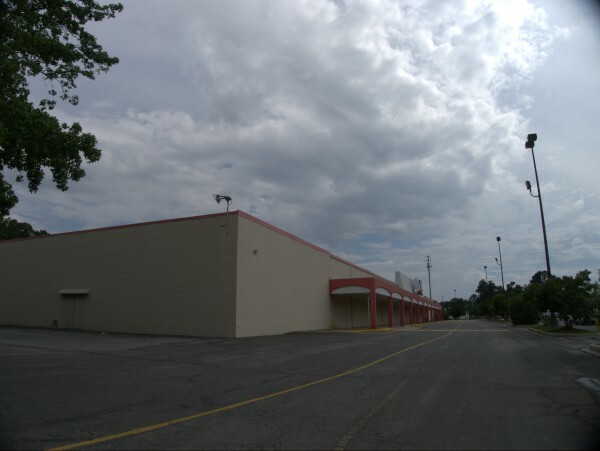 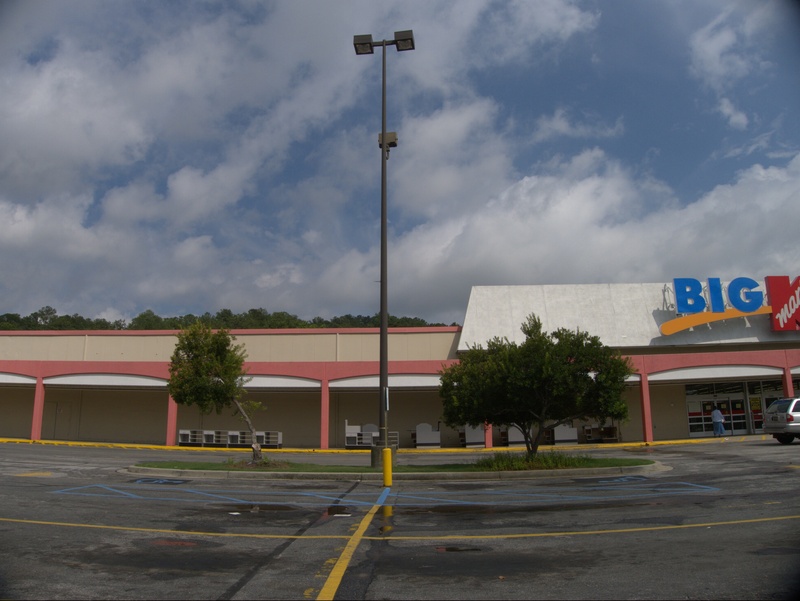 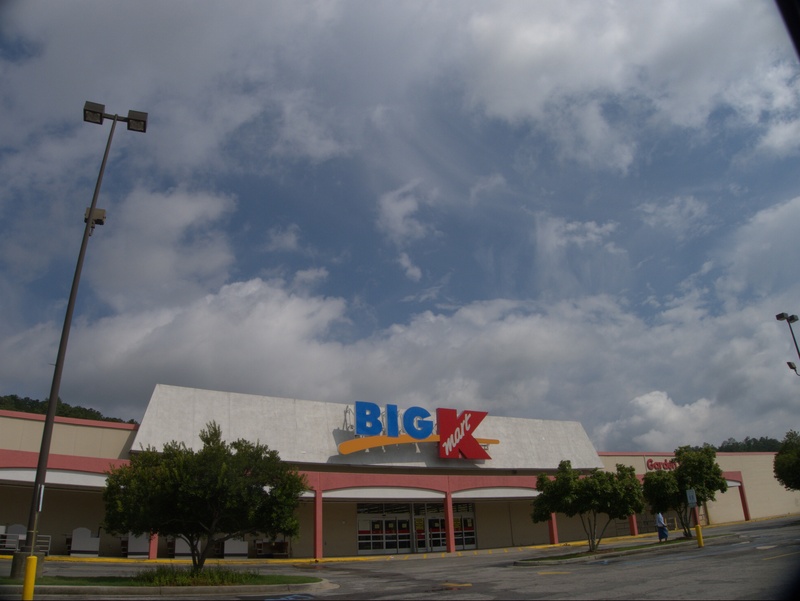 This Kmart, accessible from Fort Jackson Boulevard, Devine Street, Crowson Road and Wildcat Road has been there for my entire, remembered, life (it is technically a little younger than I am), and was a place I went many times with my Mother over the years (though probably not as many times as to the Two Notch store). 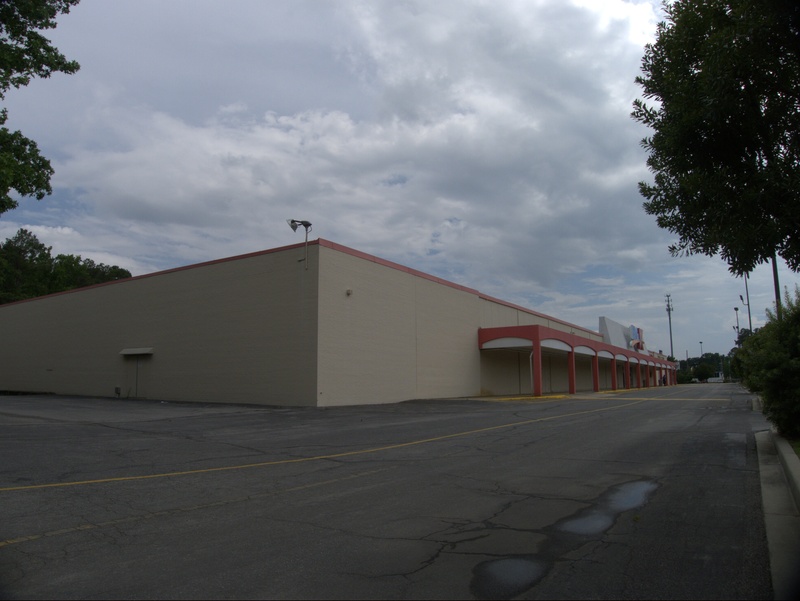 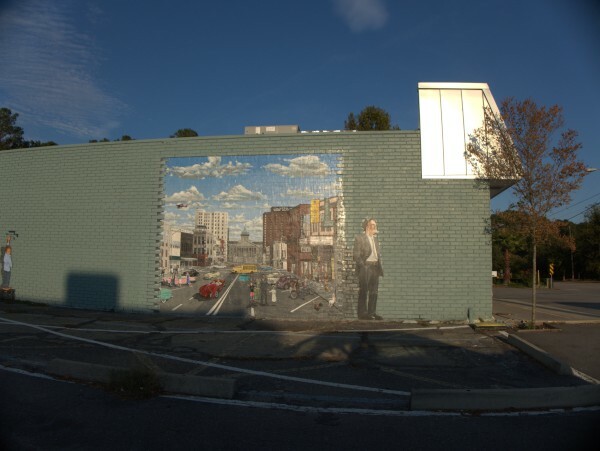 In the beginning, the left side of the Kmart building was occupied by a Big Star grocery and then by an Old America Store. 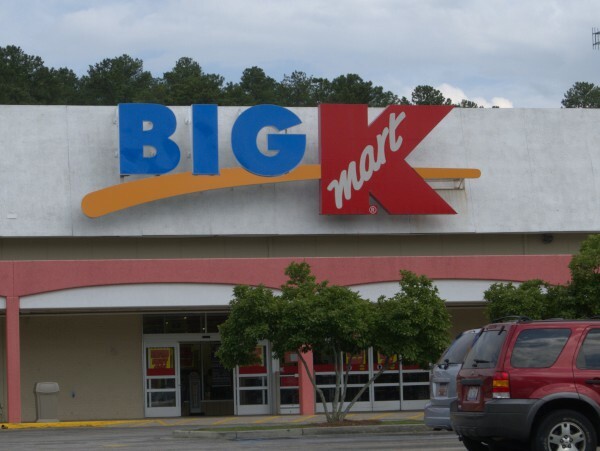 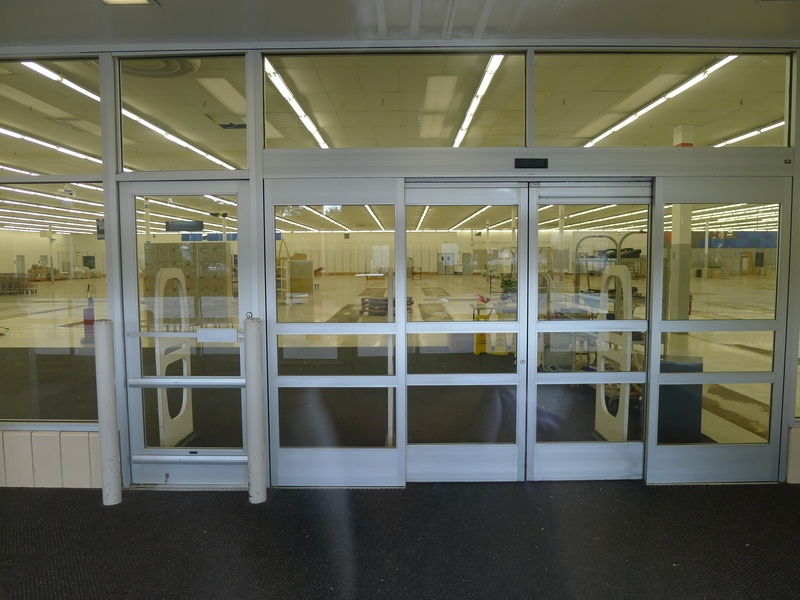 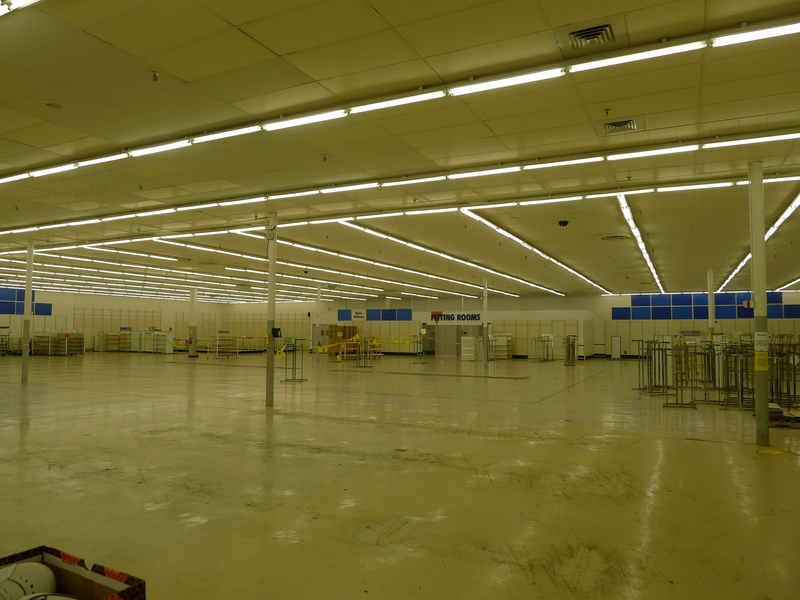 Finally, in the throes of the last good idea the chain had, Kmart converted to a Big-K format store and expanded into the old grocery space. 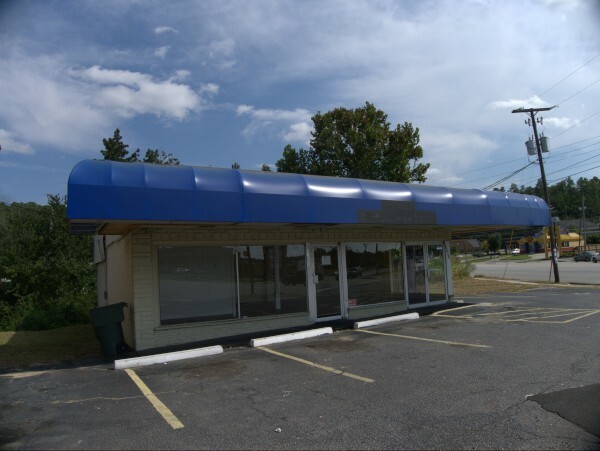 This status-quo lasted a good number of years, but recently there have been signs of malaise like closing and trying to rent out the auto service bays. 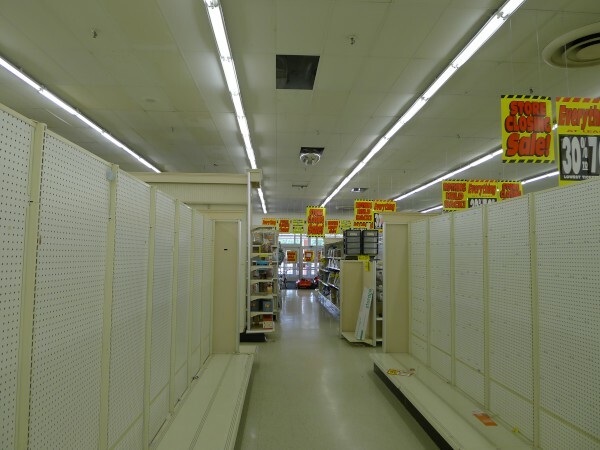 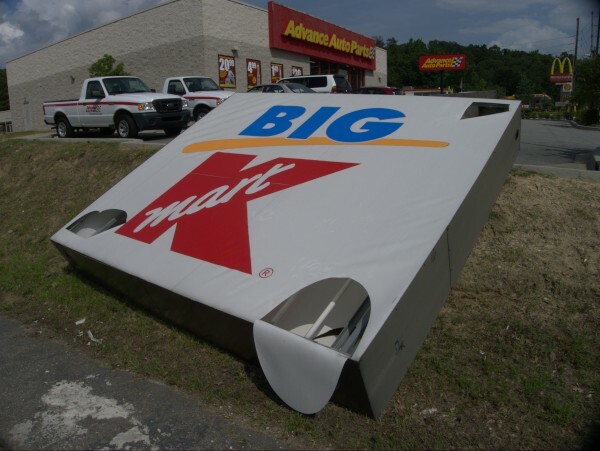 I want to like Kmart as I have good childhood memories of the place, but their current strategy seems to be to not have a strategy, other than, perhaps, closing stores when Wal Mart opens nearby. 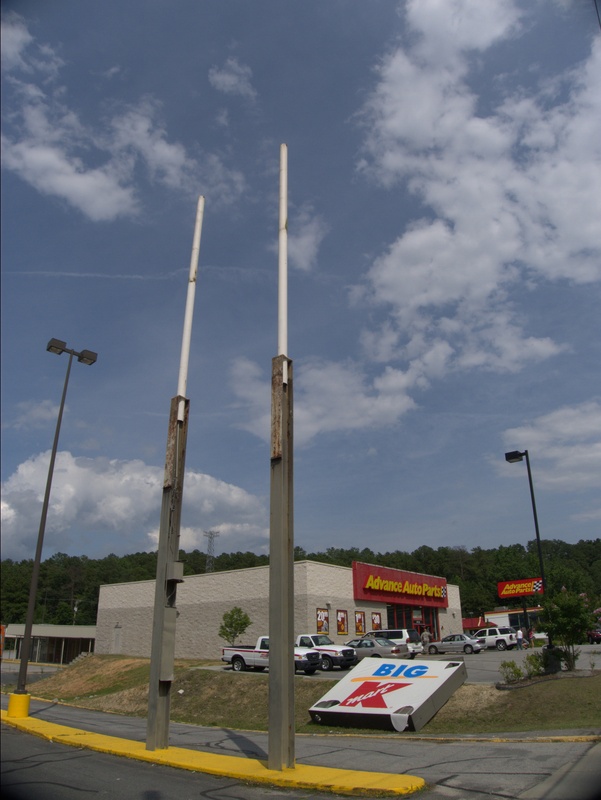 Now, I'm not saying I know what a successful stragegy for them would be, but good heavens, they have to try *something*! 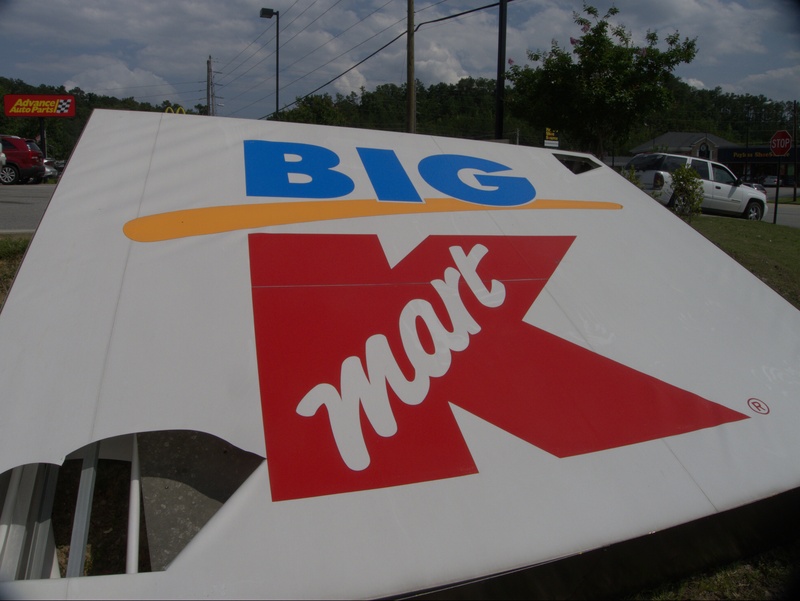 Go 24 hours, get Martha Stewart back, co-brand with The Food Channel, open in-store bowling alleys -- something! 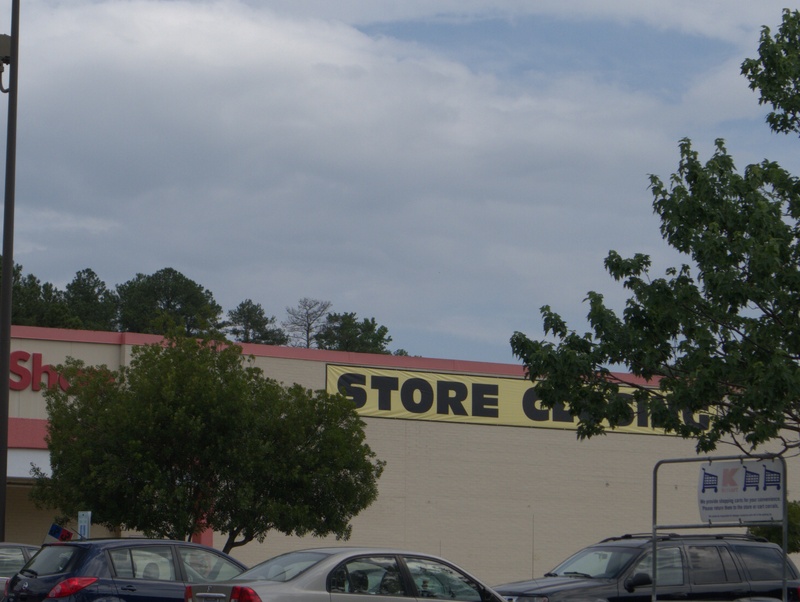 And hire some staff, yes, that's expensive, but if you're in a "bet the company" situation (and you are, whether you think of it that way or not) you've got to make shopping easy. 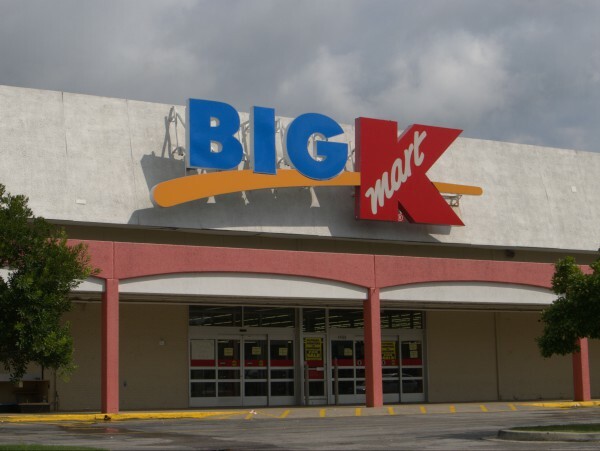 The last time I stopped at this store, I was in a bit of a hurry and found my item quickly, but it was in a locked display case with nobody in the department. The staff I could find in other departments were very friendly, but couldn't leave their area and nobody ever showed up who could make the sale before I had to go -- so they didn't make that sale, and I'm not sure they can afford to not make sales. 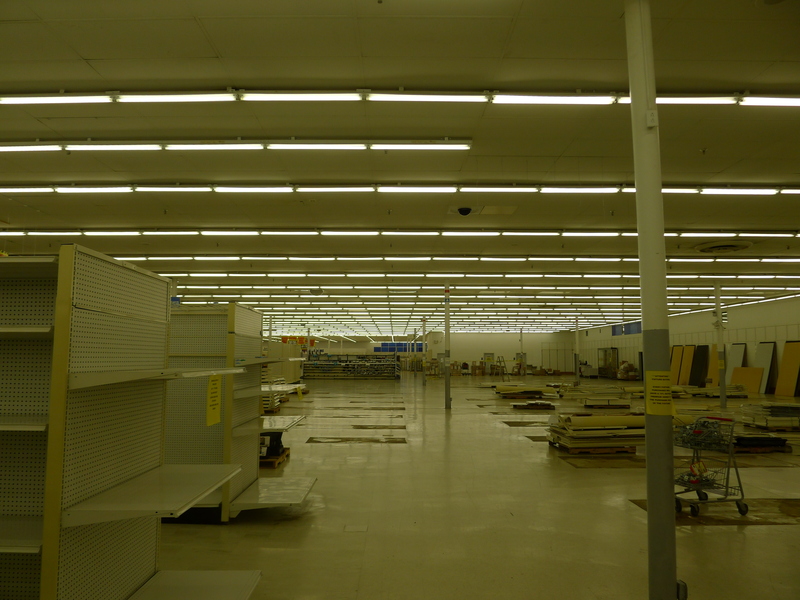 Anyway, as of Memorial Day, the place was not completely picked clean and still had some reasonable looking bargins. I noticed in particular, that if you need some alkaline batteries, now is the time to get your "Die Hard" AAA, AA 9V & Cs (didn't see any Ds). 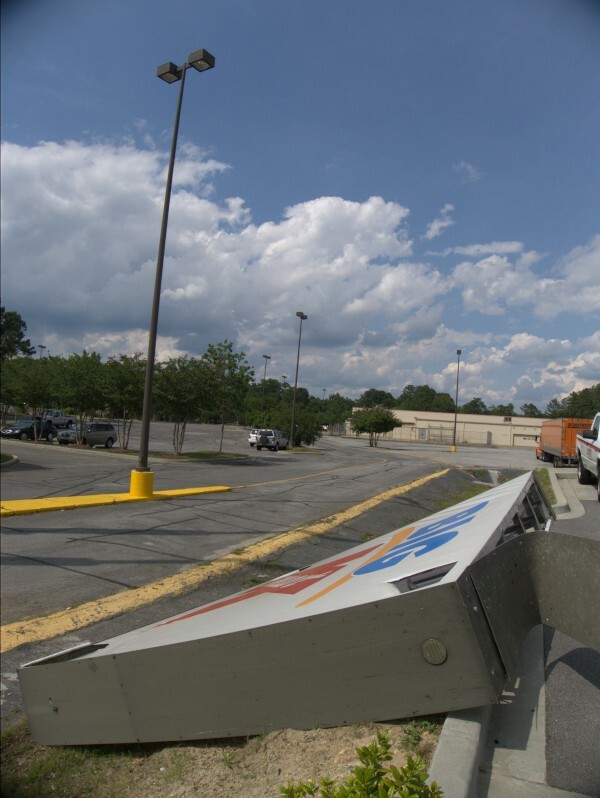 UPDATE 6 June 2012 -- And, it's gone! 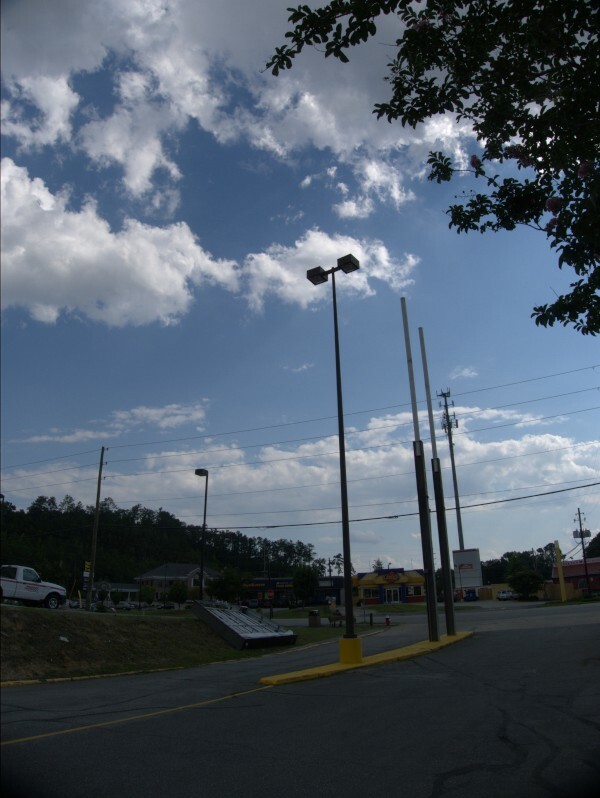 UPDATE 14 June 2012: Added full 7 June 2012 photoset. 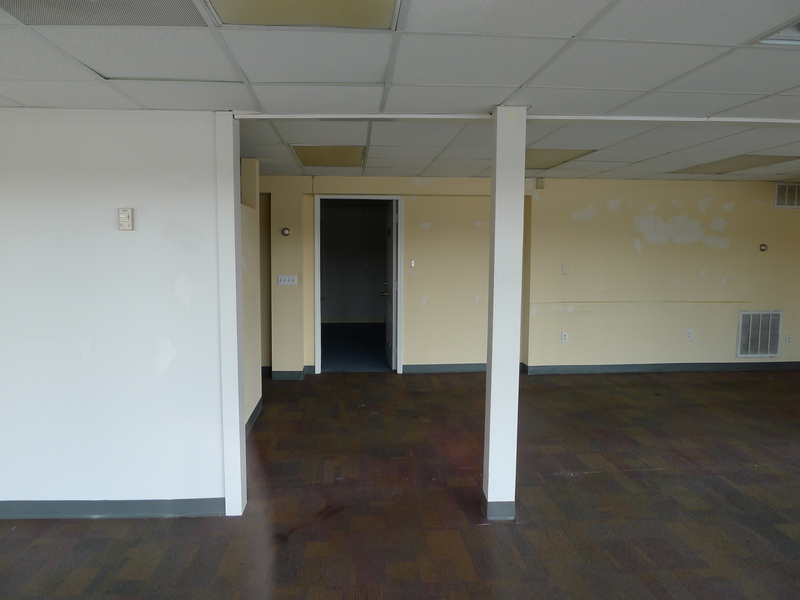 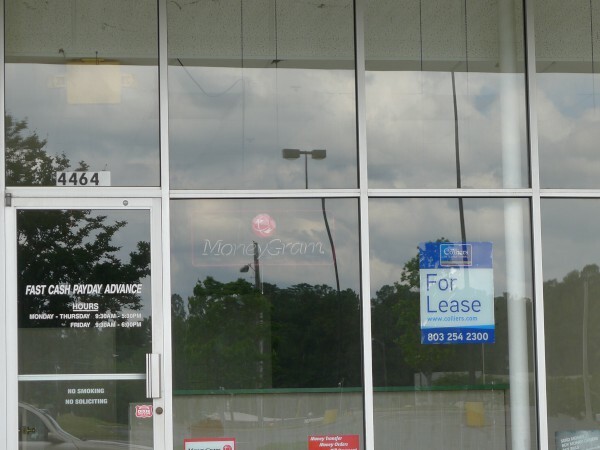 Not that this closing leaves the place without a loan operation -- this is where Capitol Loan Office moved to from Main Street. 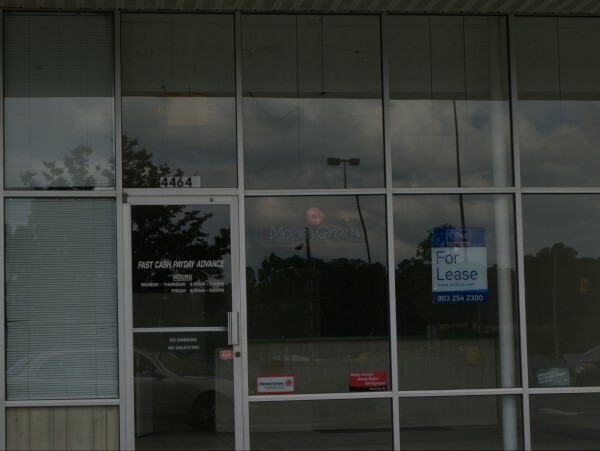 And also note that if you lease this space, you apparently get a free MoneyGram neon sign, which is kind of nifty. 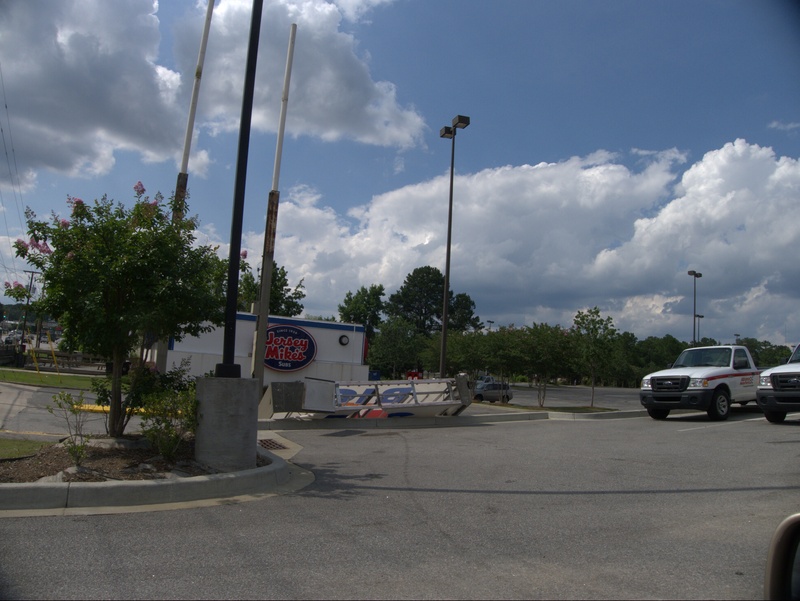 When I would eat at Ruby Tuesday, I would occasionally stop at this S-Mart BP (which I'm pretty sure started as a Hess) on my way home, especially since they tore down the Forest Drive Circle K. It was nothing special, though I always thought it was a bit odd that they had the "under seige"/"cashier in a cage" setup inside as the area doesn't seem especially bad to me. 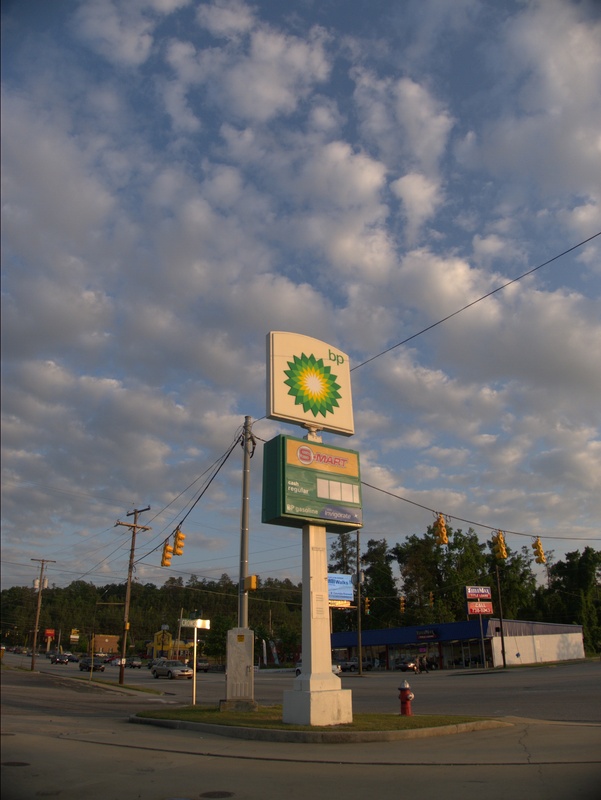 I'm pretty sure that the number of pumps decreased over the last year or so, something I wondered about. 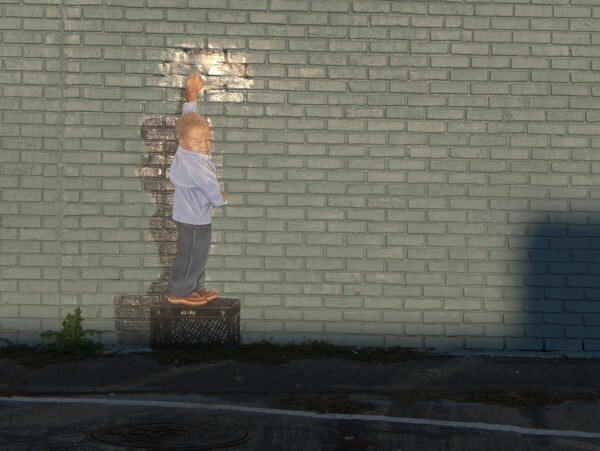 It may be that the writing has been on the wall for a while.. 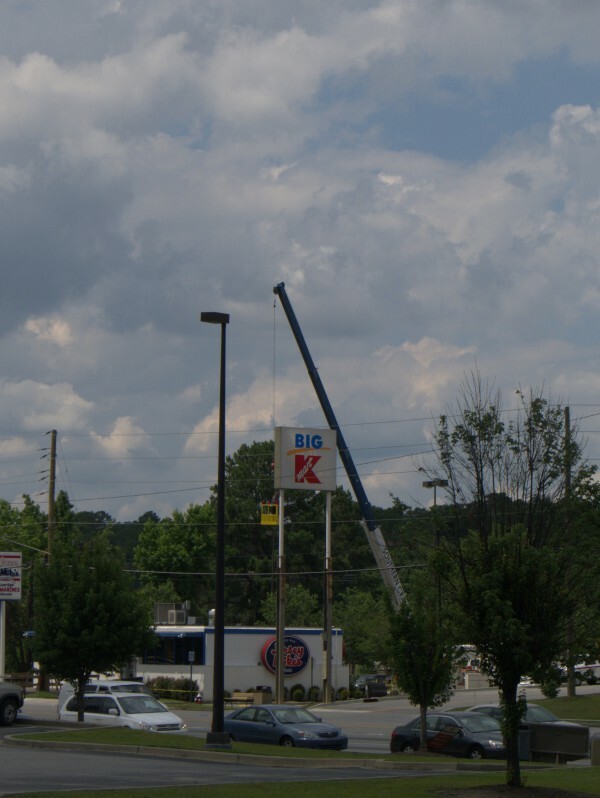 When the ax did fall, they wasted no time getting the remaining pumps out of there, a process that usually takes a little while. 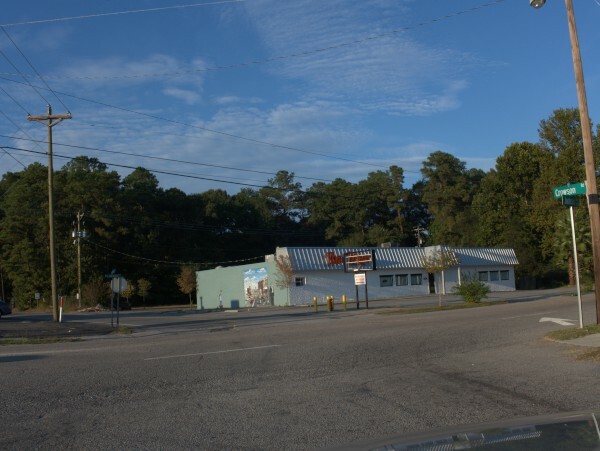 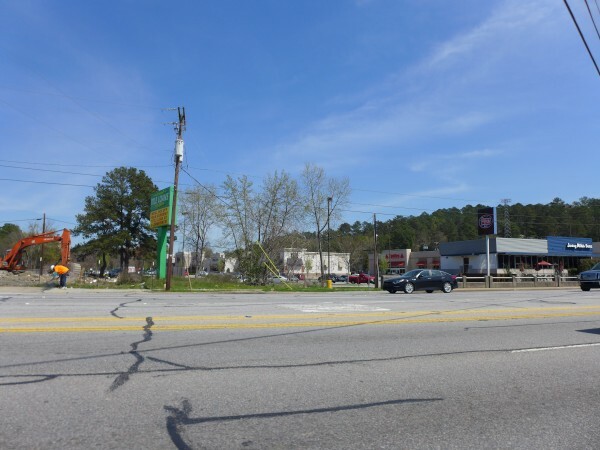 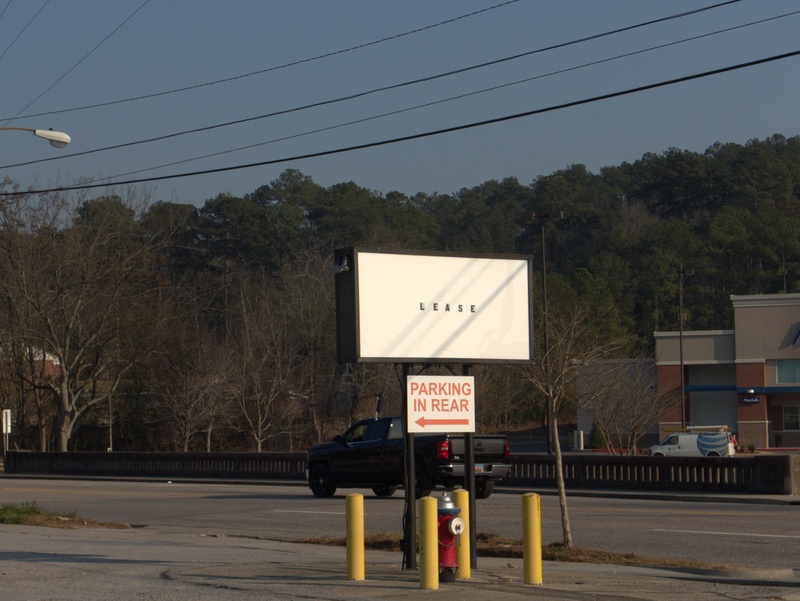 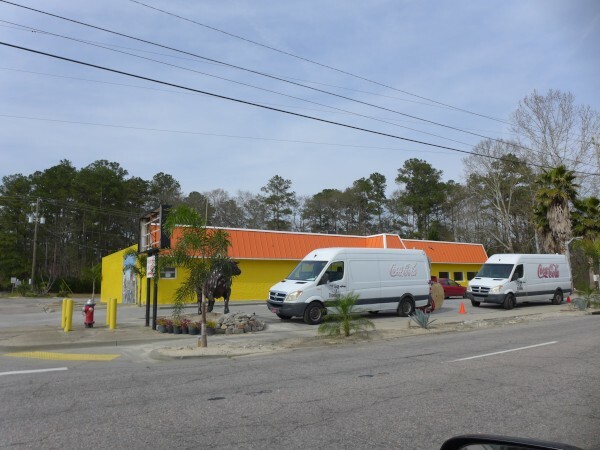 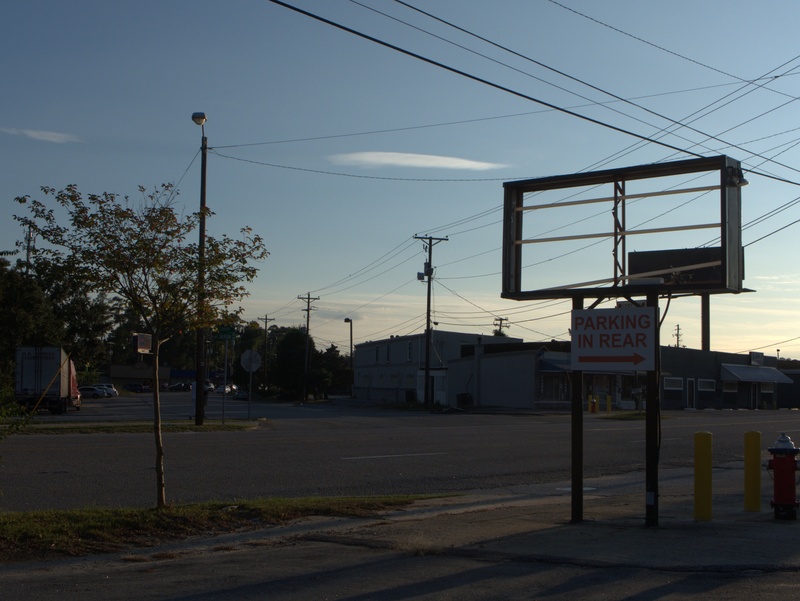 The side road to this place, Crowson Road is an odd little street that connects Devine with Fort Jackson Boulevard and also has a semi "back way" into K-Mart with a bridge over Gills Creek. It has always had sort of an unfinished/1960s vibe to me. 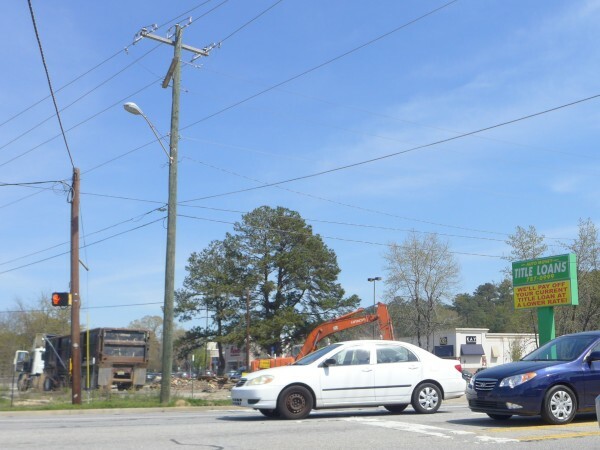 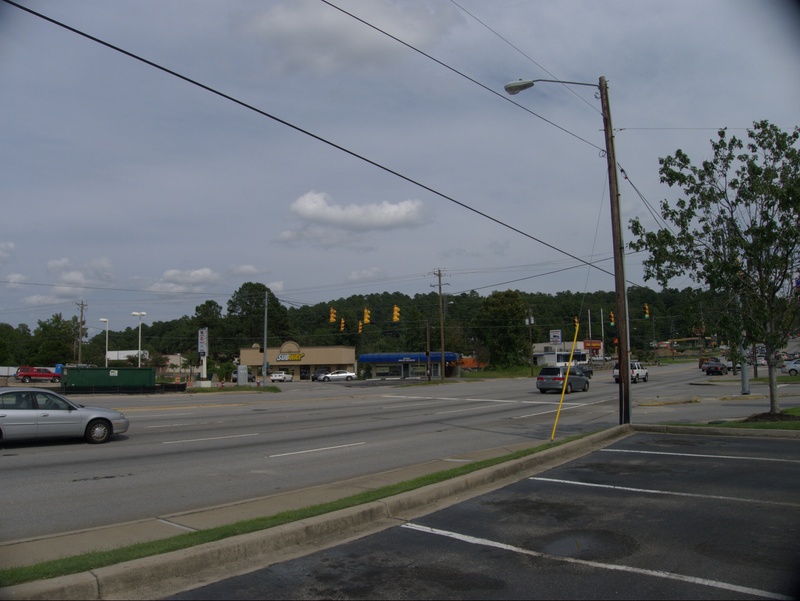 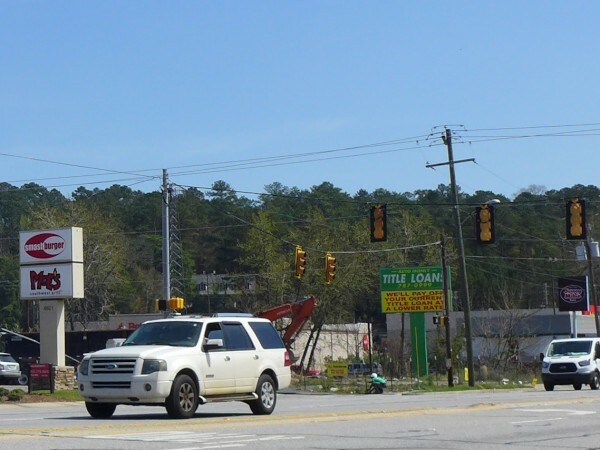 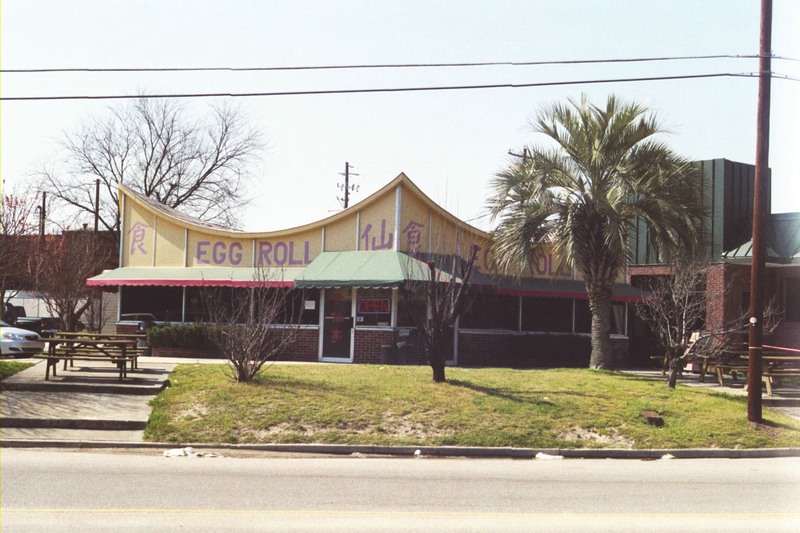 I guess this is probably due mostly to the odd cluster of buildings, from the original Egg Roll Station building to the old buildings at the intersection with Fort Jackson Boulevard.. This little, much bar-ed, building is on Fort Jackson Boulevard, at Crowson Road, near the former Check World, and Jesudi's and across the street from La Brasca. As far as I can tell, El As De Oros means "The Golden Ace", and Bar La Movida means something like "Party Bar" or "Groovy Spot Bar". 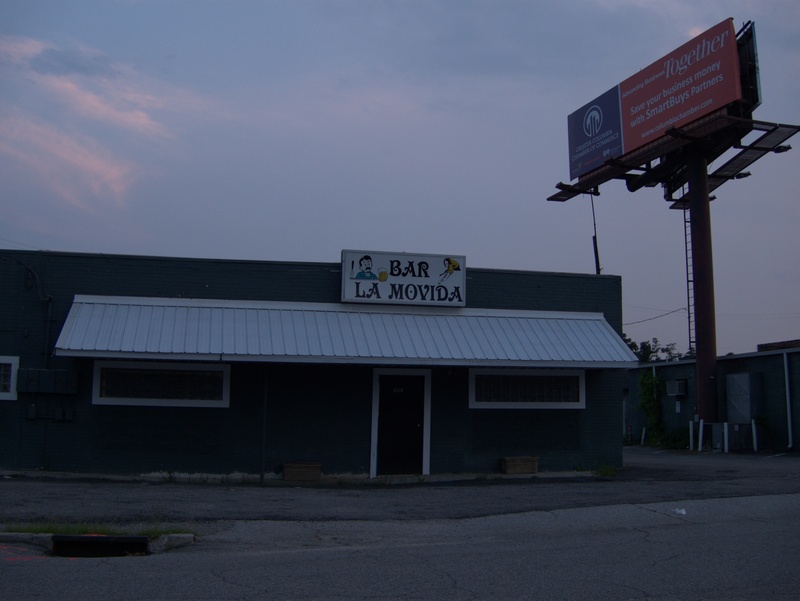 El As De Oros applied for their liquor license in 2004, which puts a timeframe on that operation. 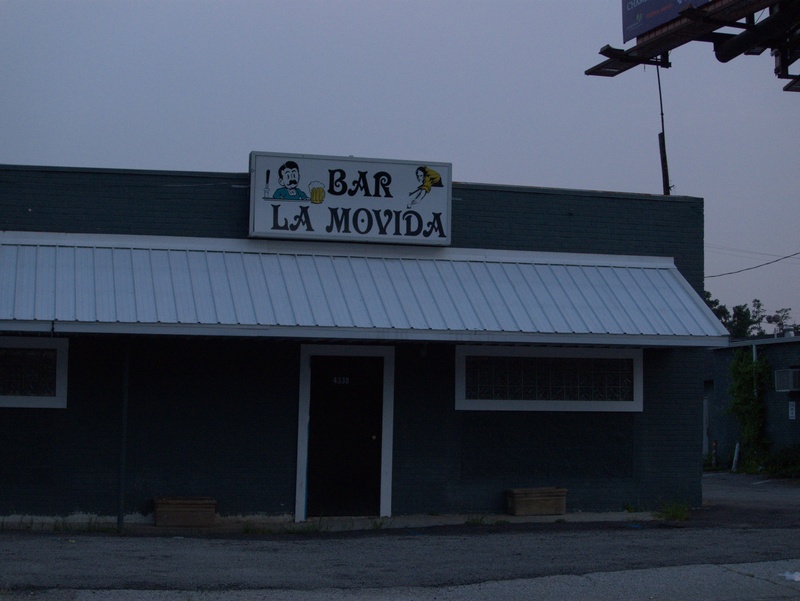 I am unsure of the status of Bar La Movida. 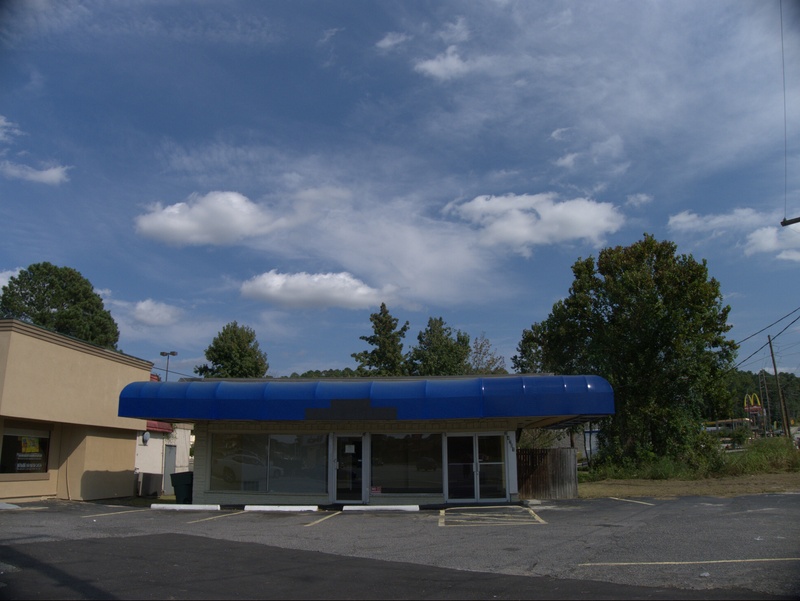 When I took these shots, I was sure it was closed, but they applied for a liquor license in April of this year (2011), so it's possible I just never drive by late enough to see anyone there. 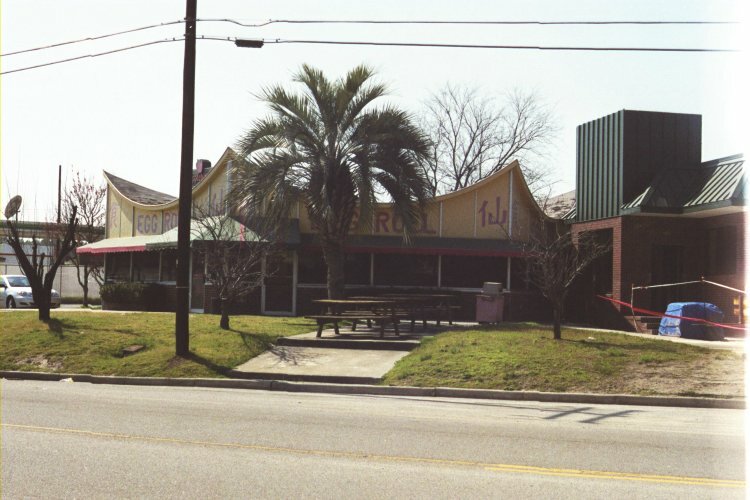 The only data point I have on Bullwinkle's is that it was listed in the February 1997 phonebook and I don't know anything about RB's at all. 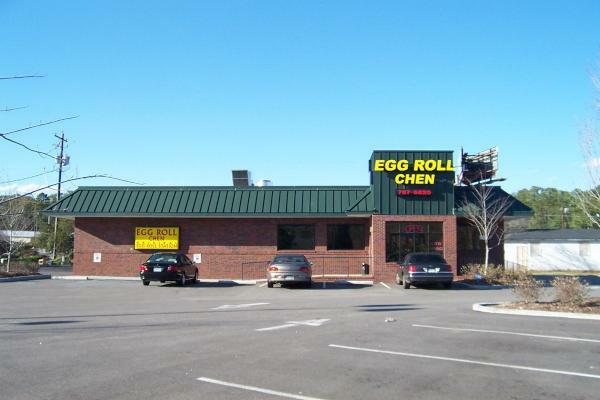 Don't panic: The Egg Roll Station (also known as Egg Roll Chen) is not closed. 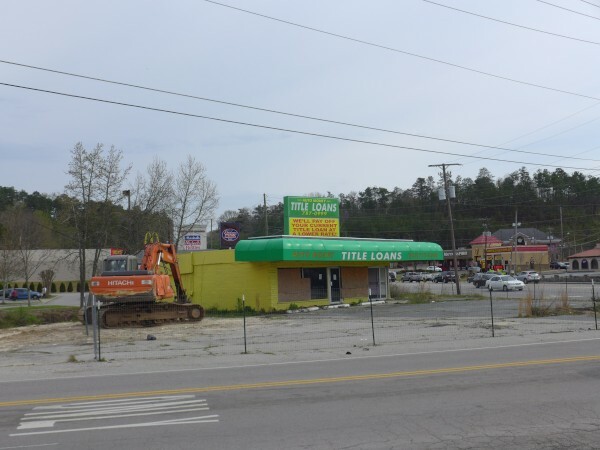 I just thought that I should note the loss of the original building here. 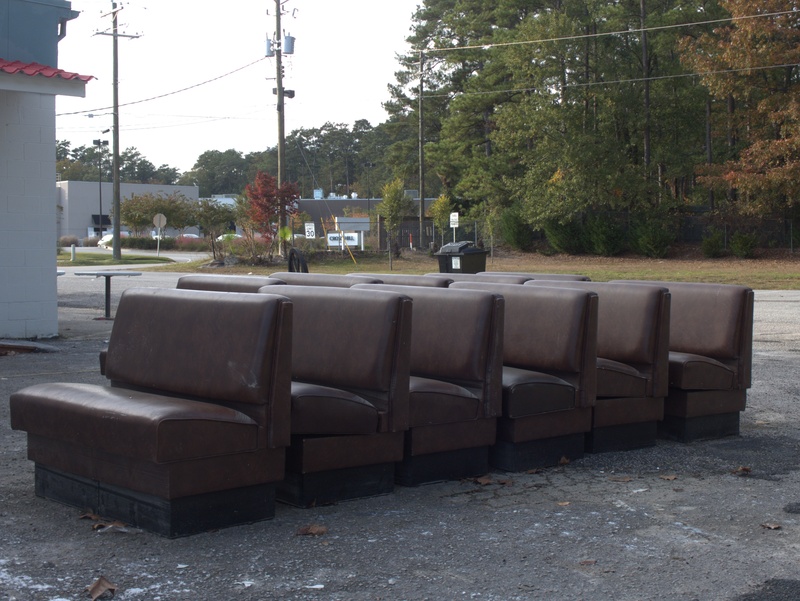 I understand why they might have wanted a newer building, but the old one (which I believe started as a Hardee's) had a unique "space-age" look. 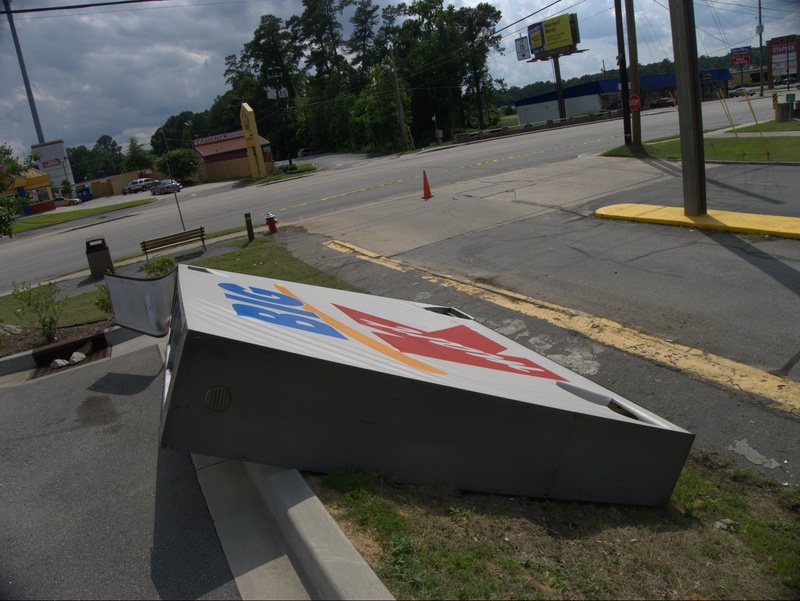 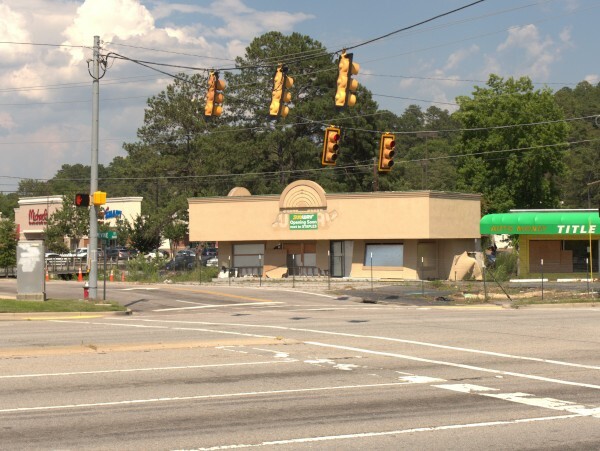 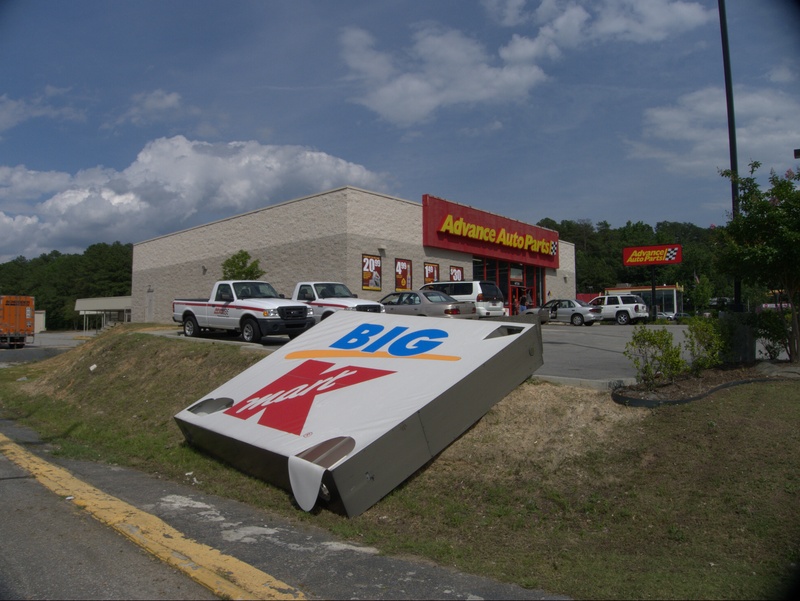 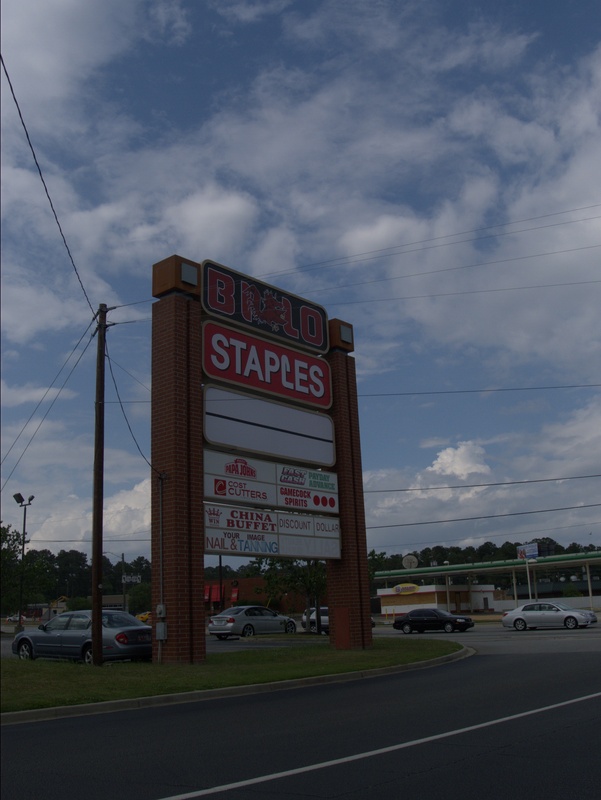 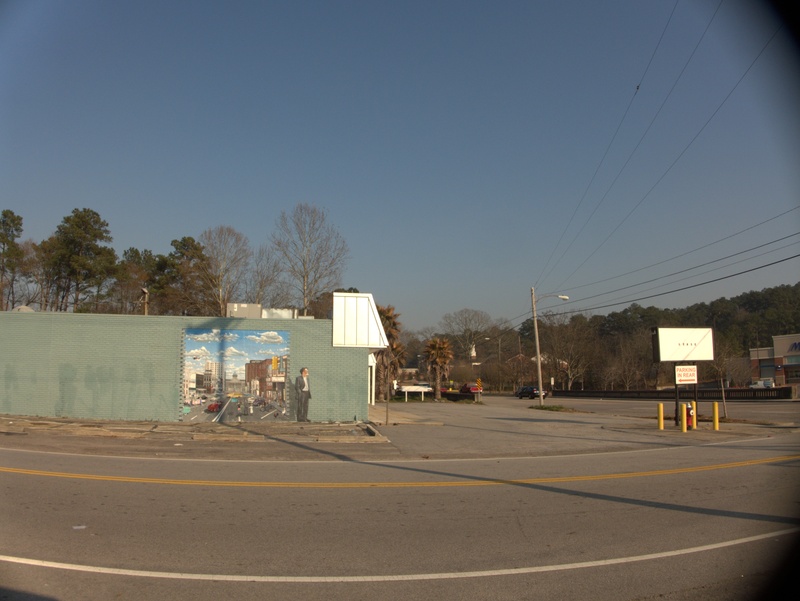 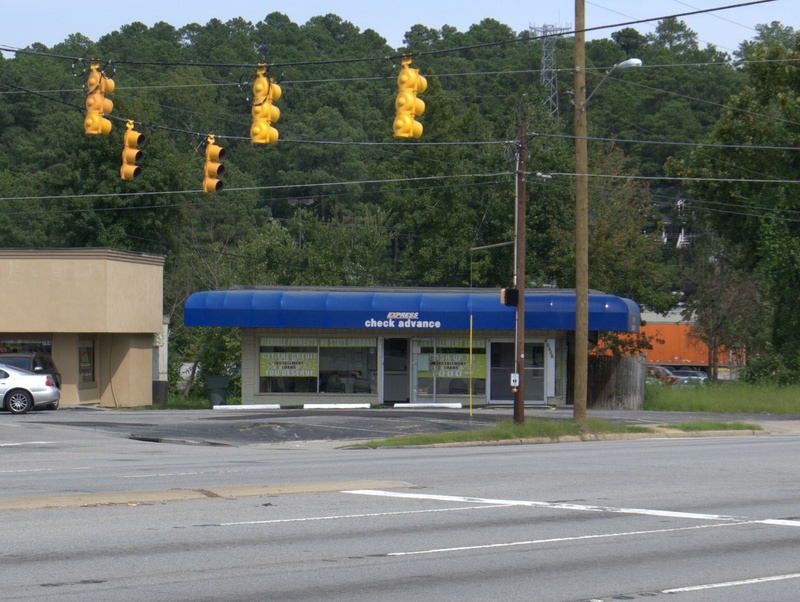 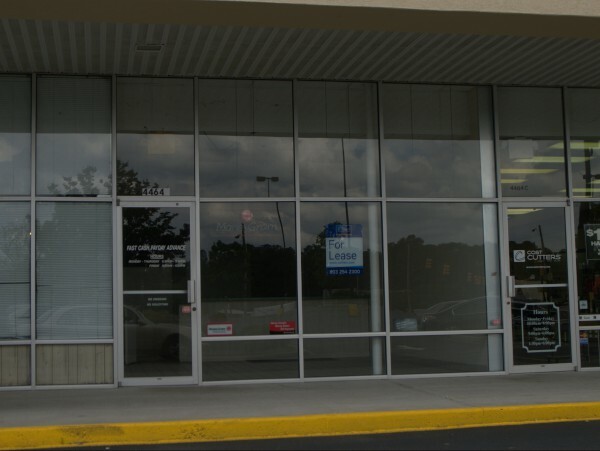 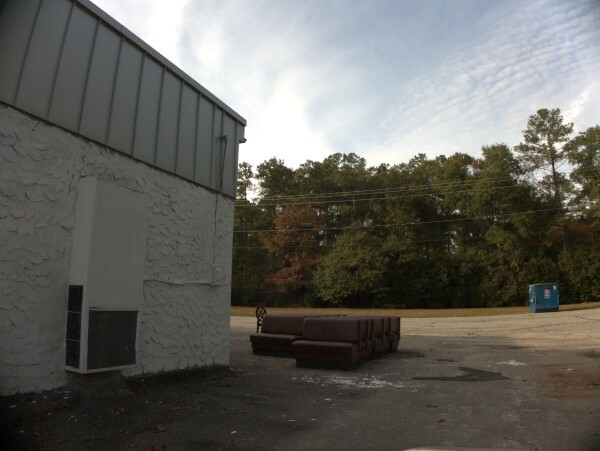 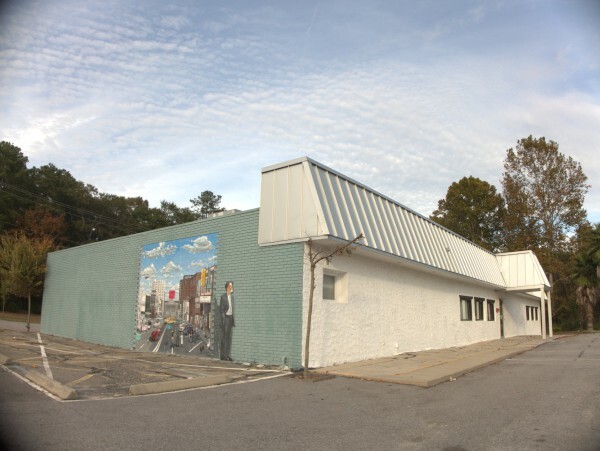 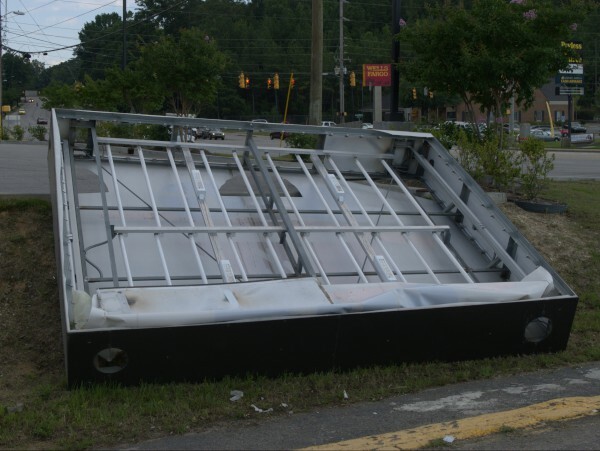 I think that with the demolition of this building Silver City (the comics store) on Knox Abbot Drive in Cayce is the only remaining structure of this type in the Columbia area. 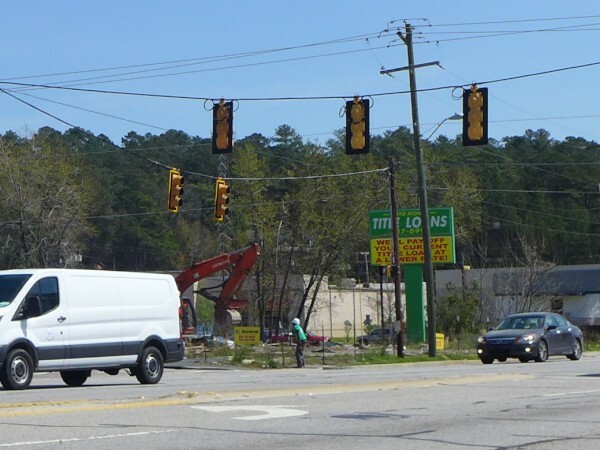 UPDATE 30 April 2010: I've corrected the street address in the post title. 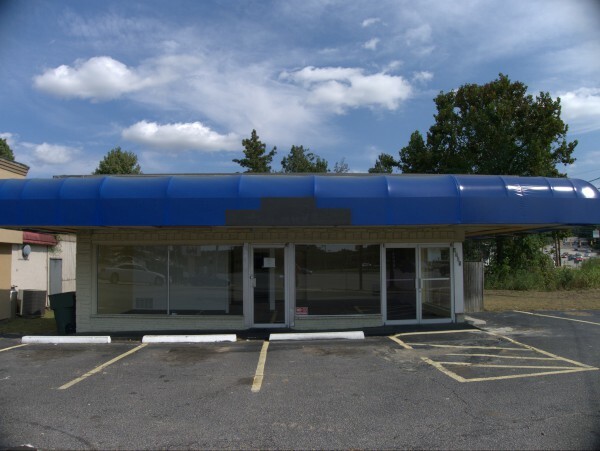 Also, I've found they have their own web site which has a good picture of their old building.